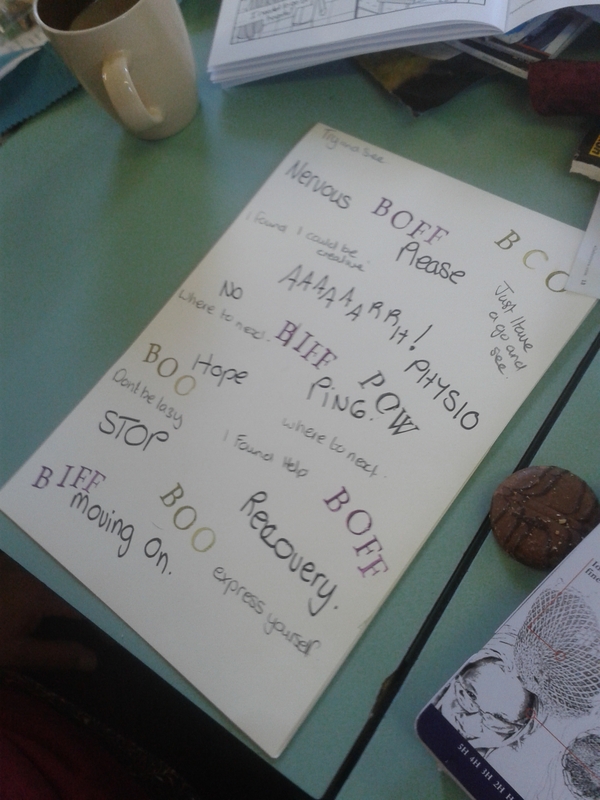 A good session by Jo today. 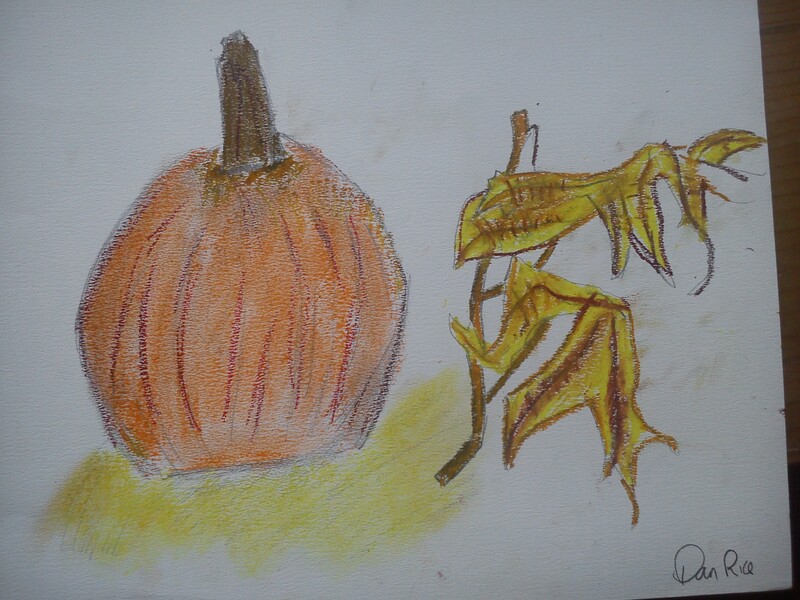 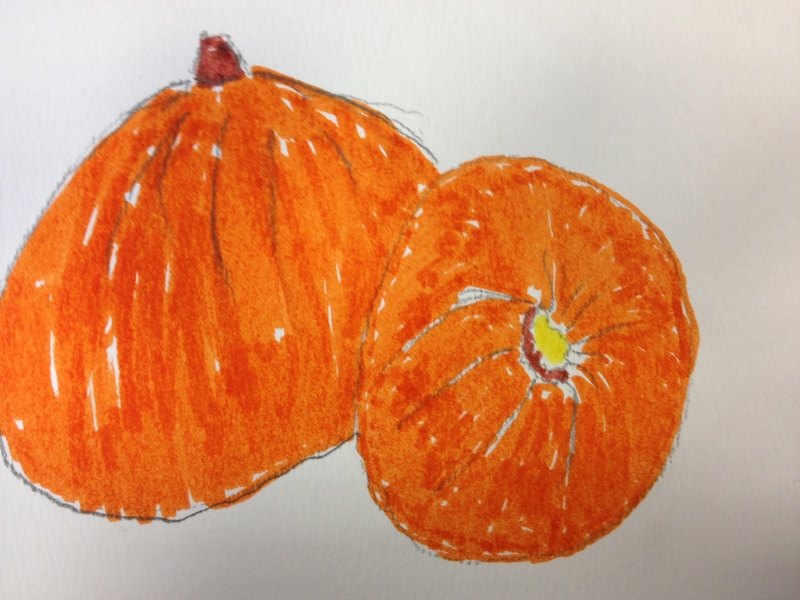 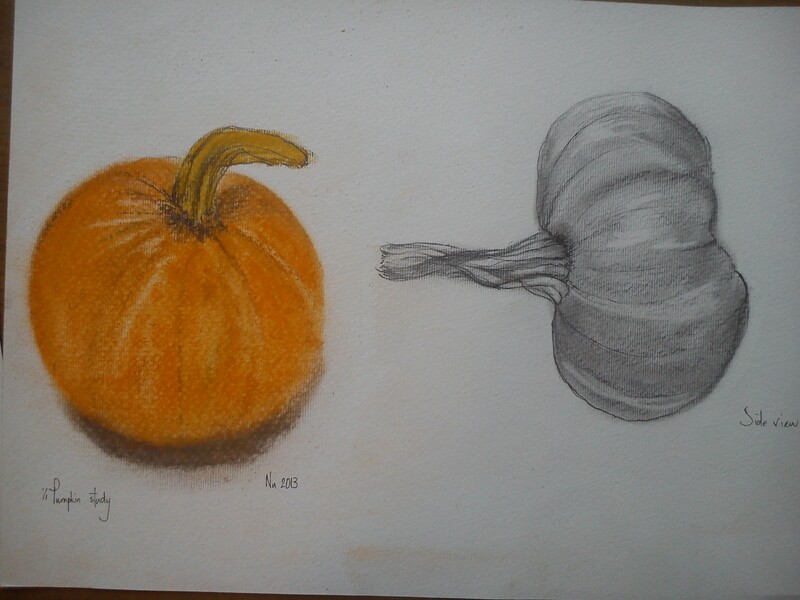 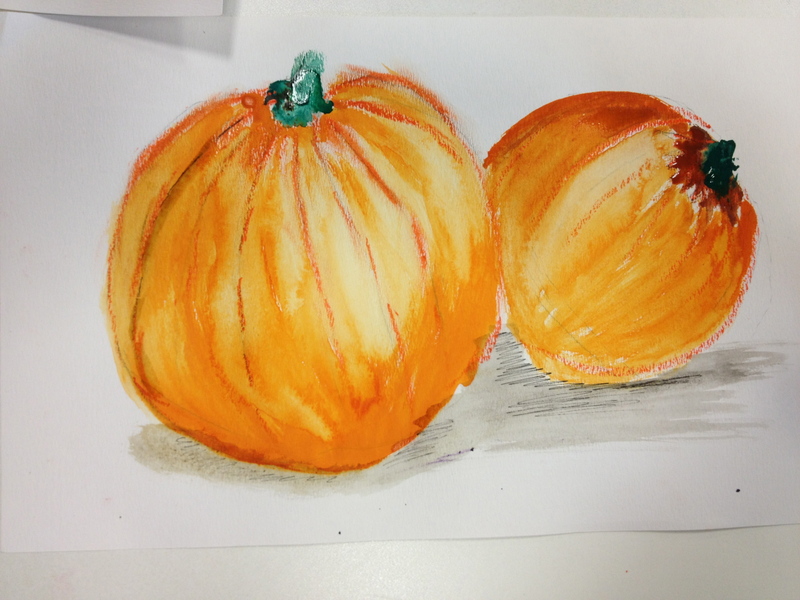 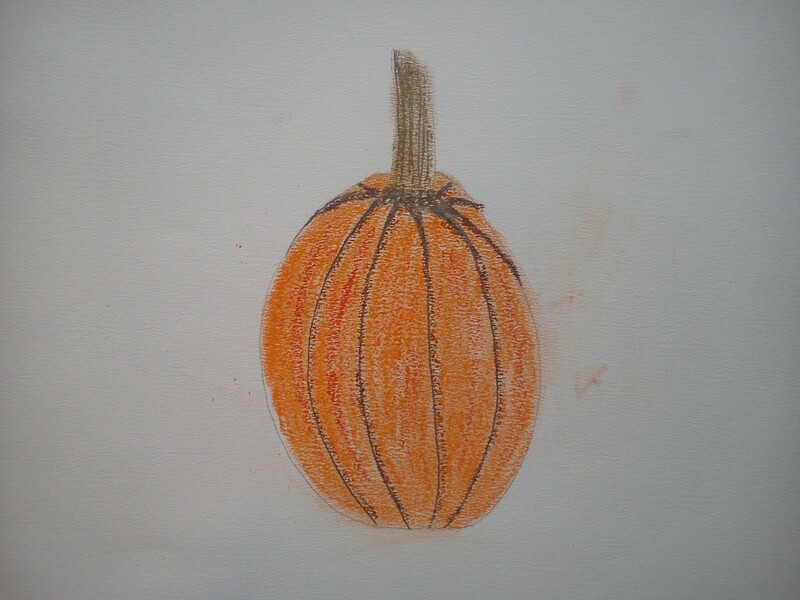 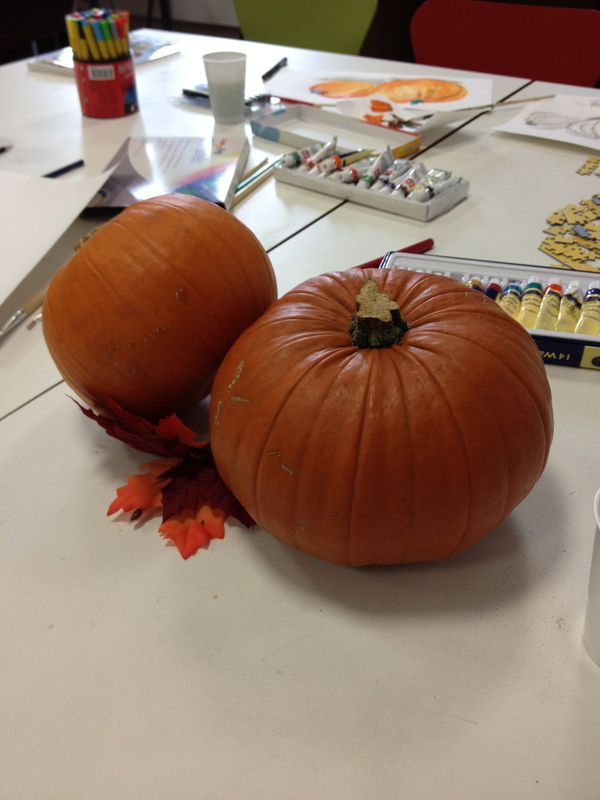 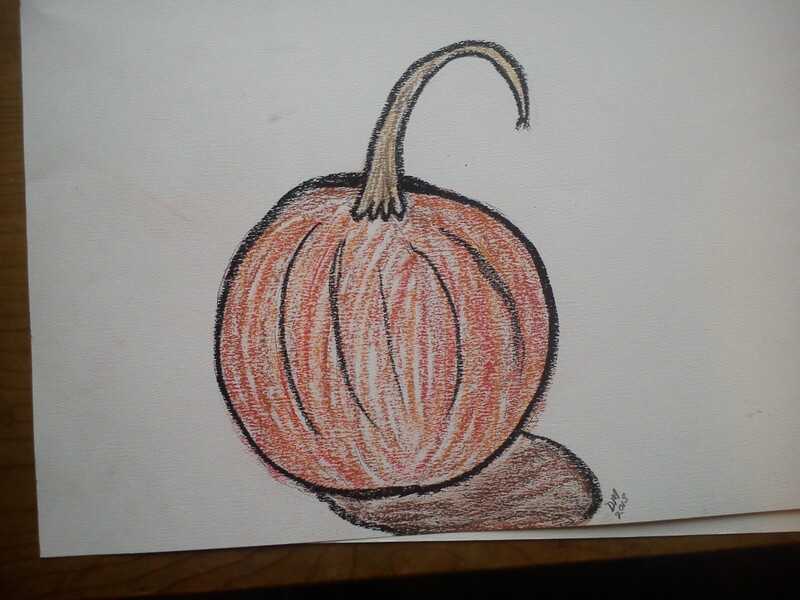 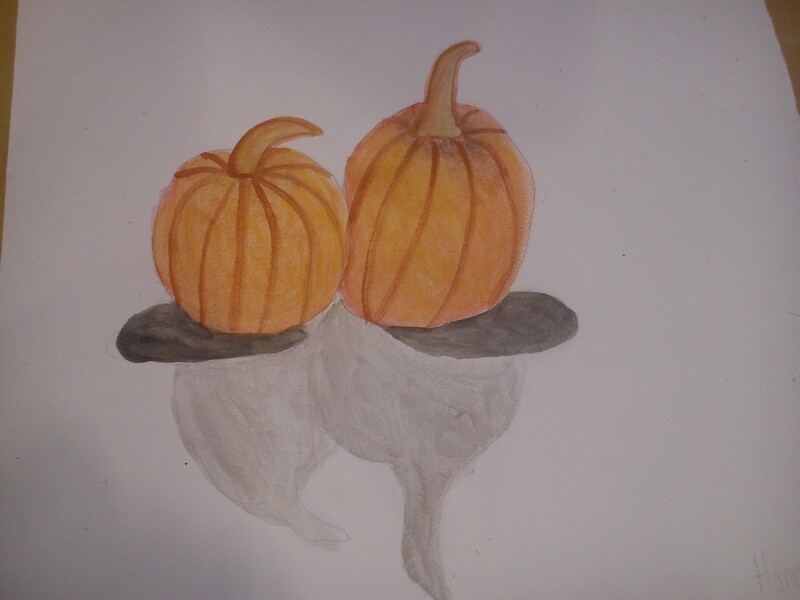 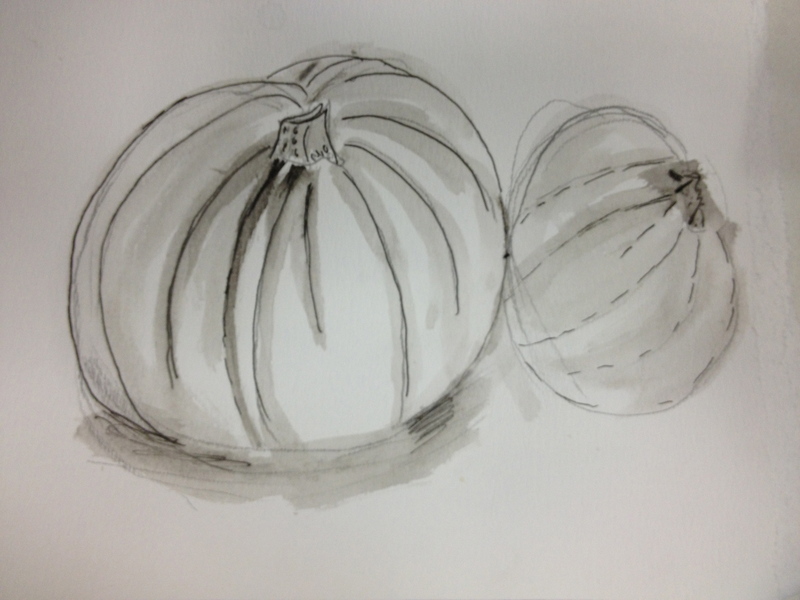 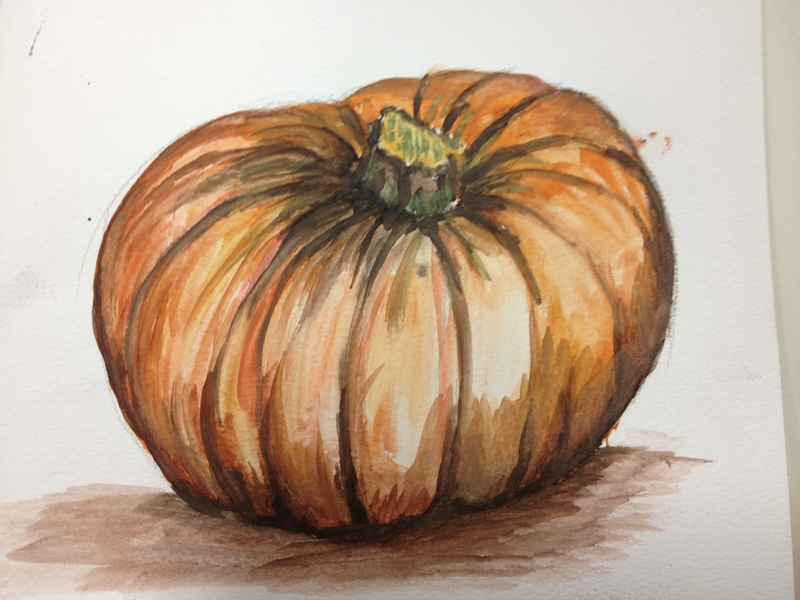 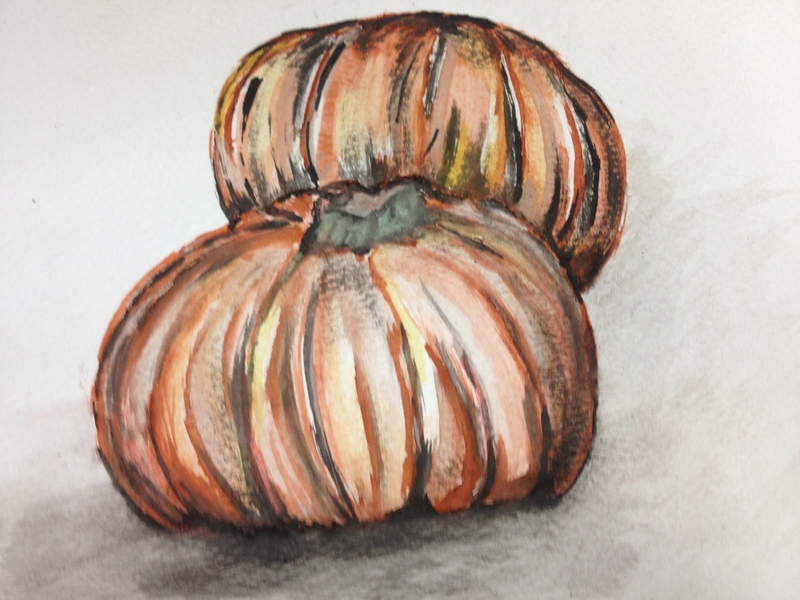 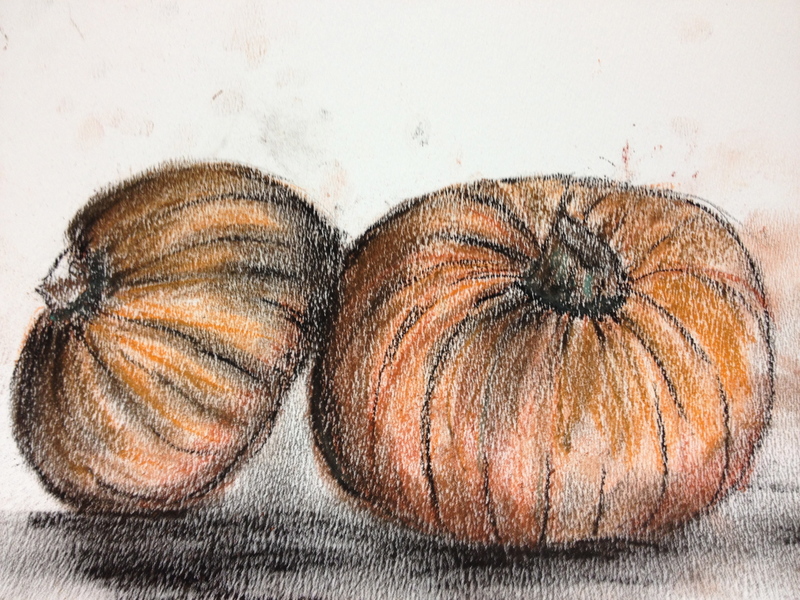 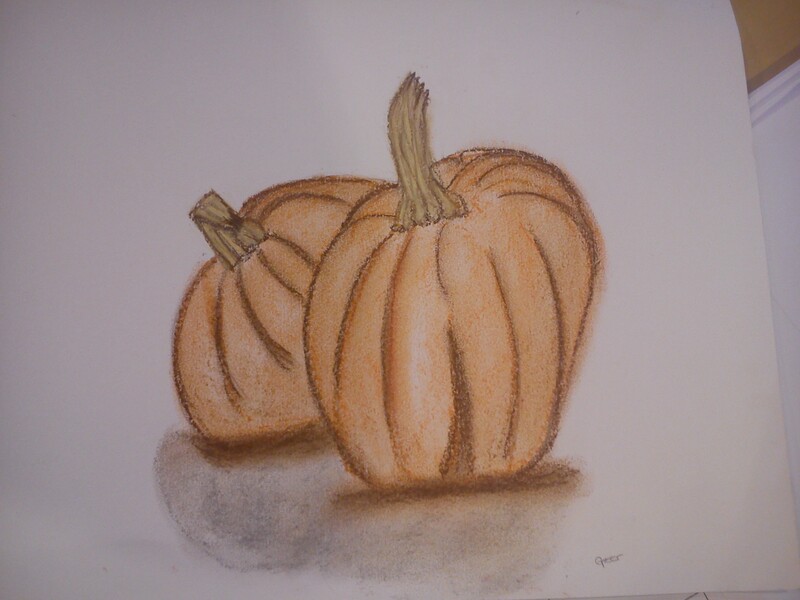 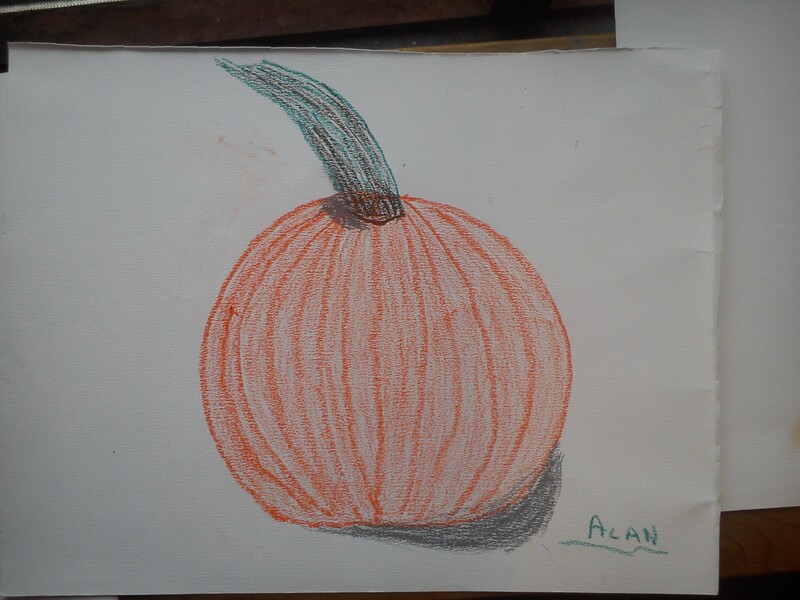 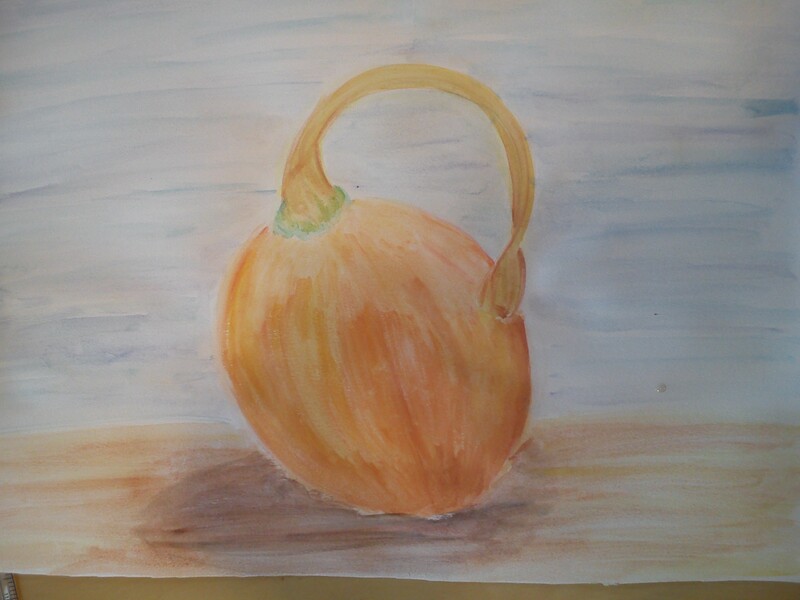 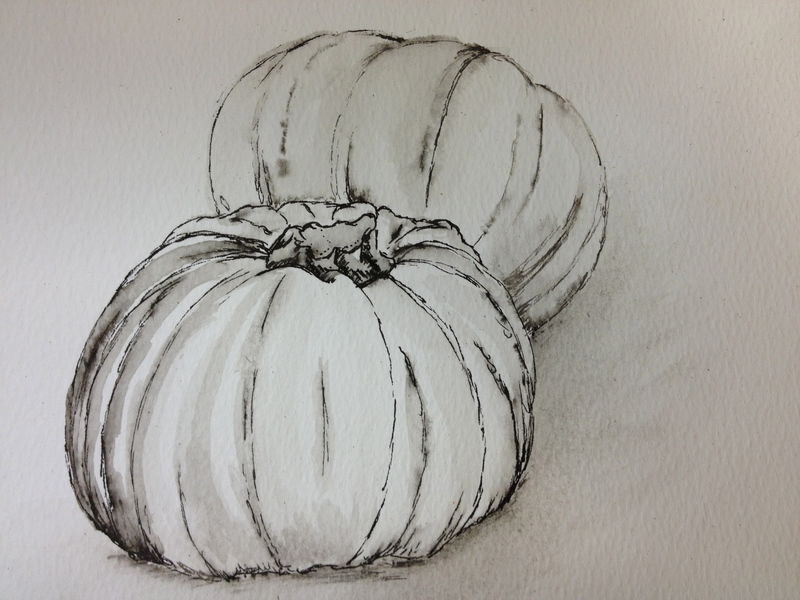 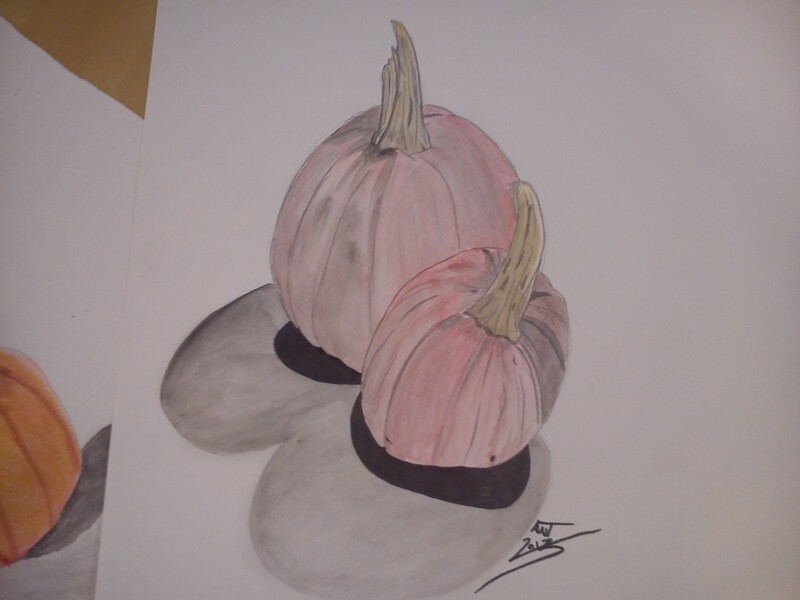 Started with sketching pumpkins using pastels, watercolours, pens and pencil. 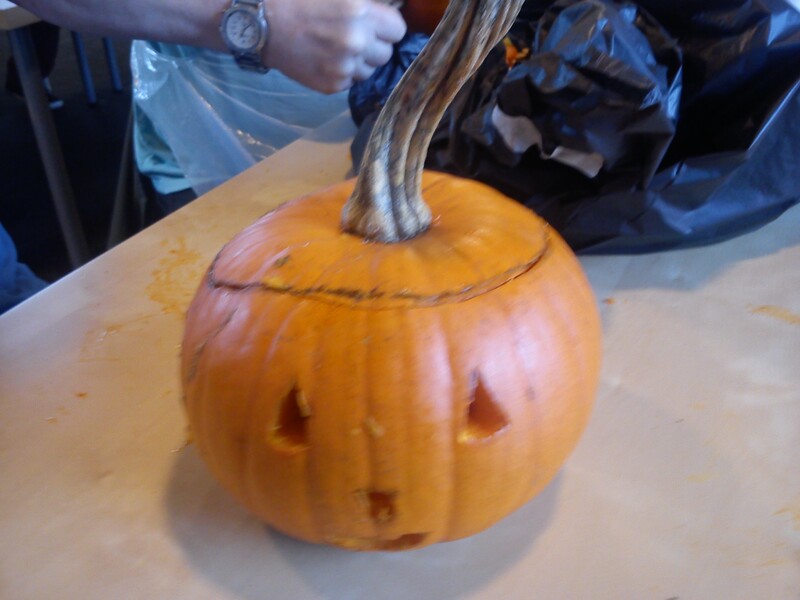 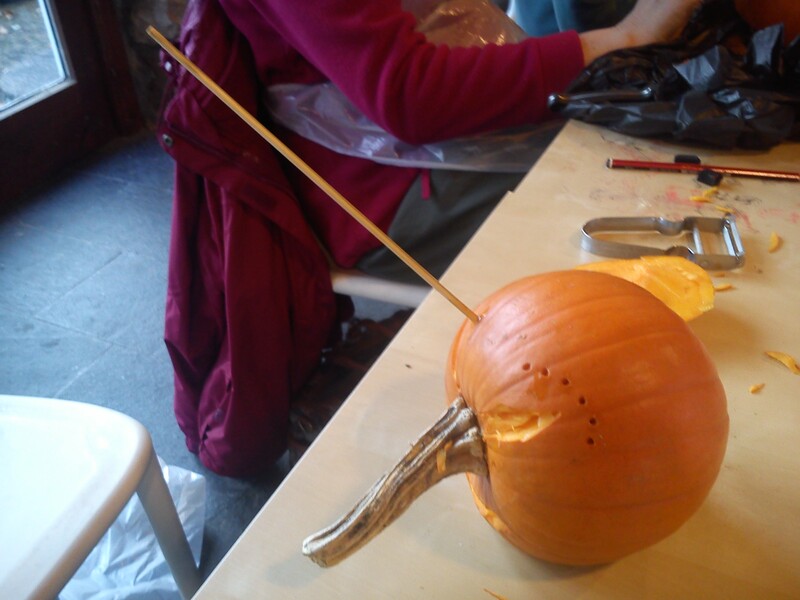 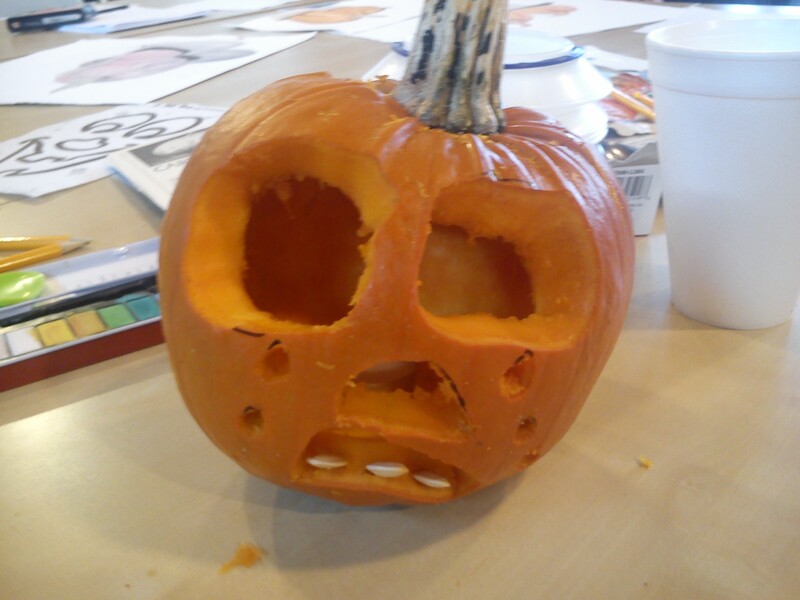 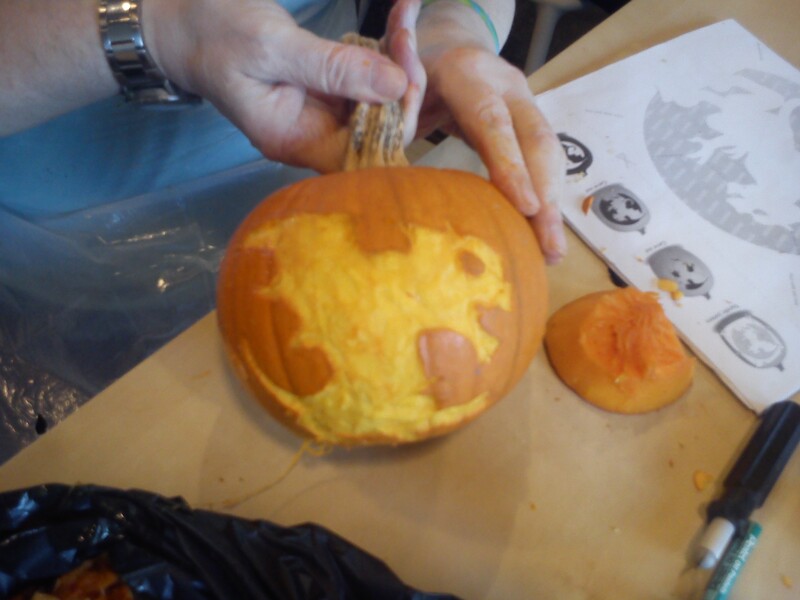 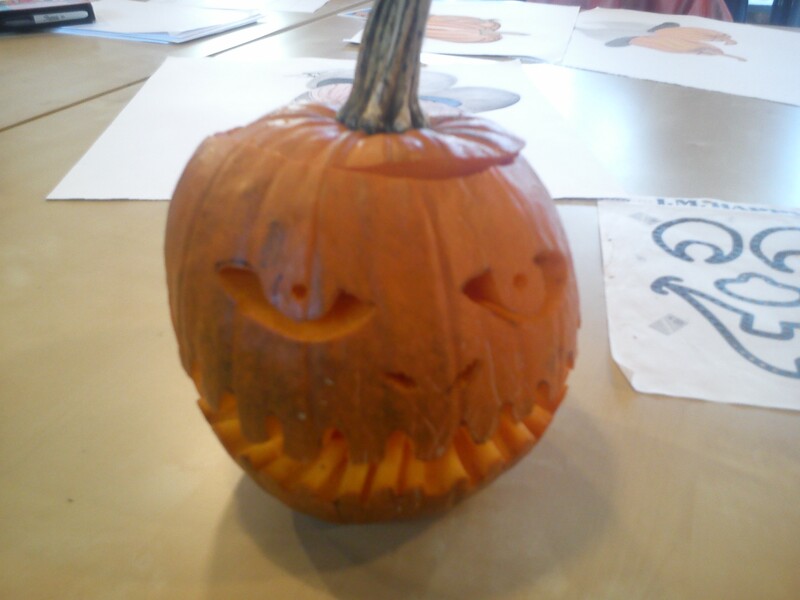 After that we went onto carving the pumpkins. 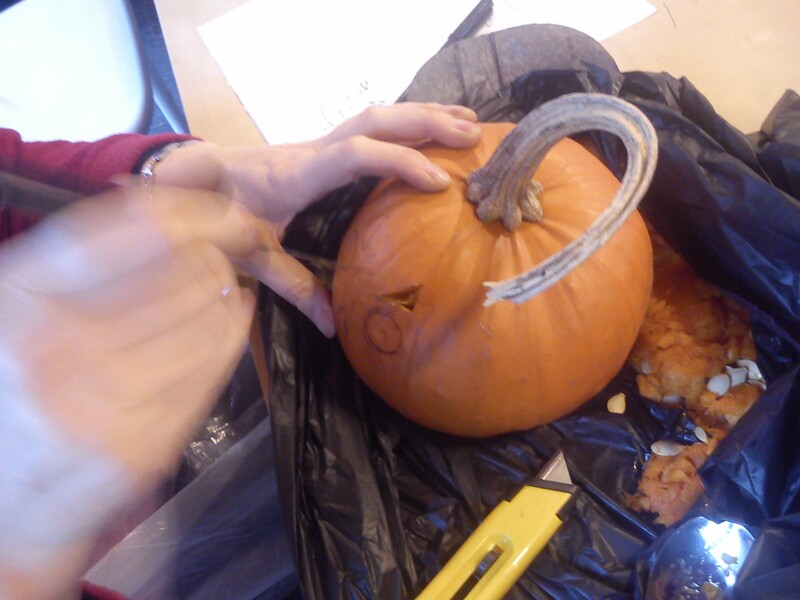 Most took the traditional route but some became experimental too! 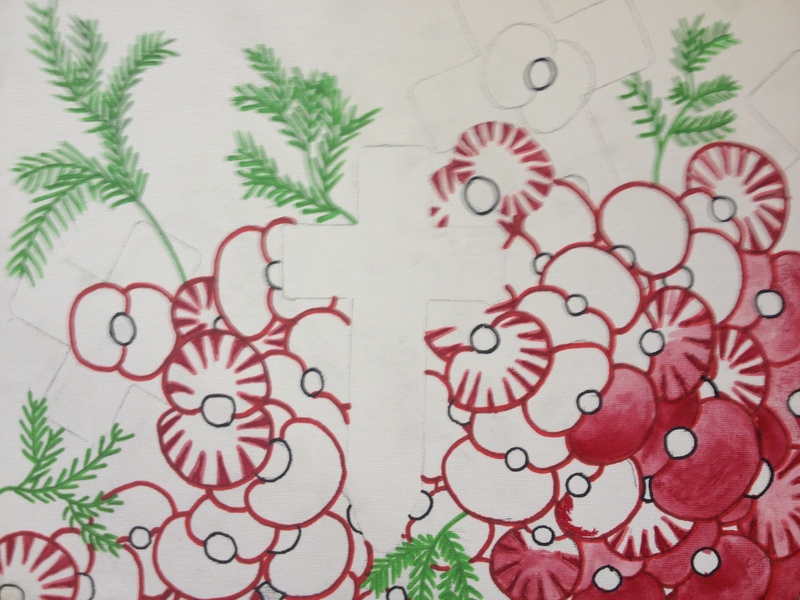 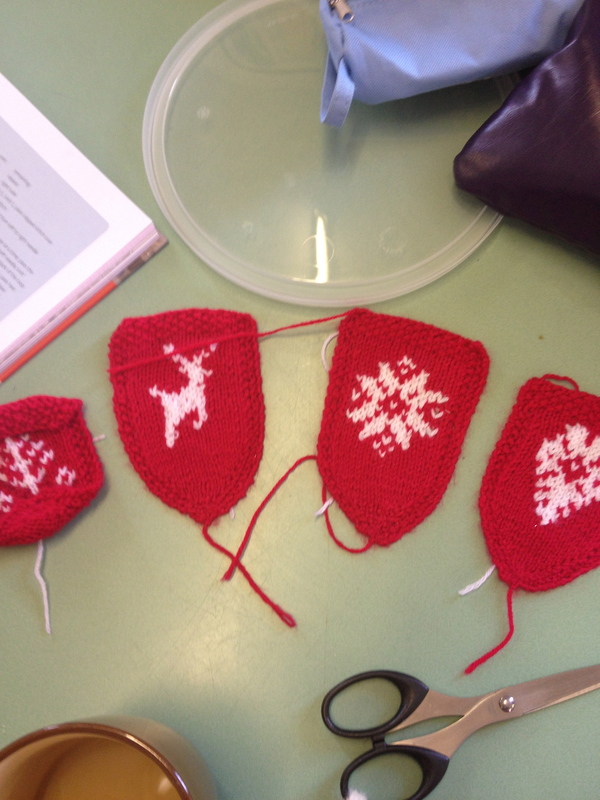 Another busy and good-humoured session involved continuing work on modroc figures and models; a variety of Christmas-themed textiles for shows; and even a Remembrance-themed project for November. 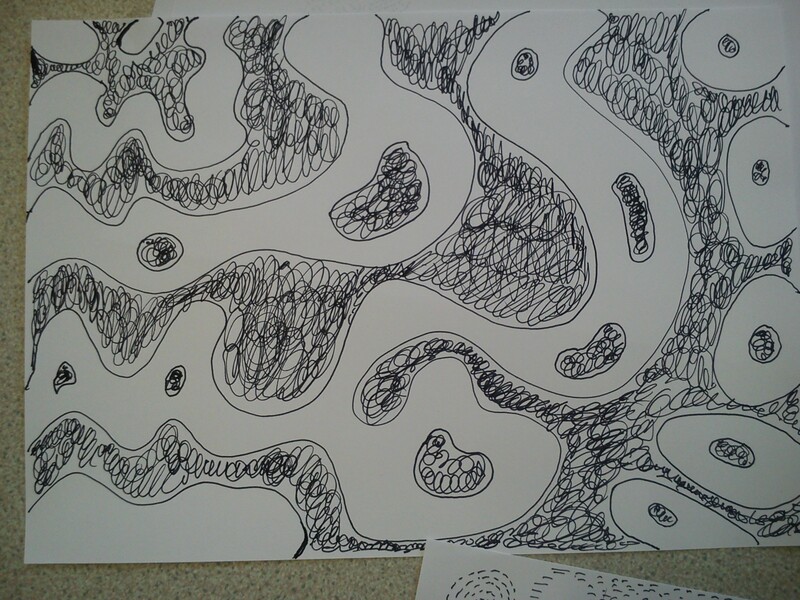 All very productive! 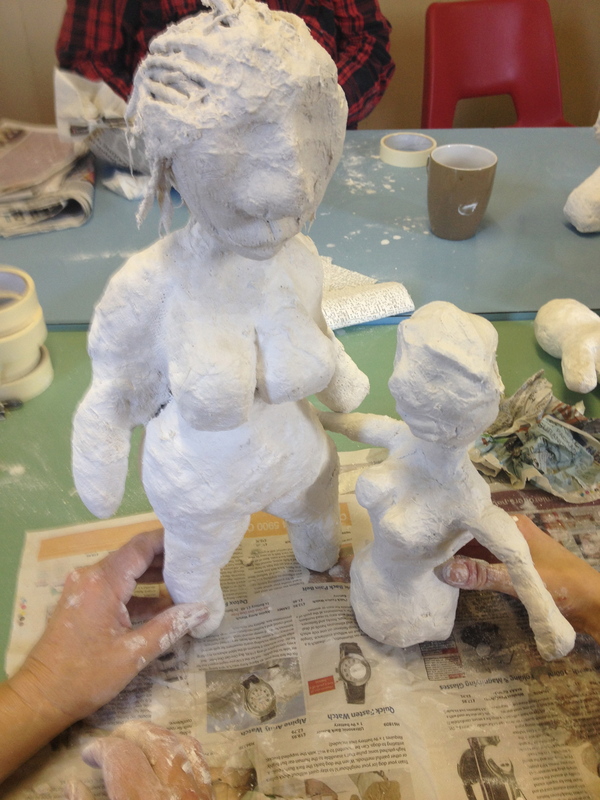 Julie and Jo took the session. 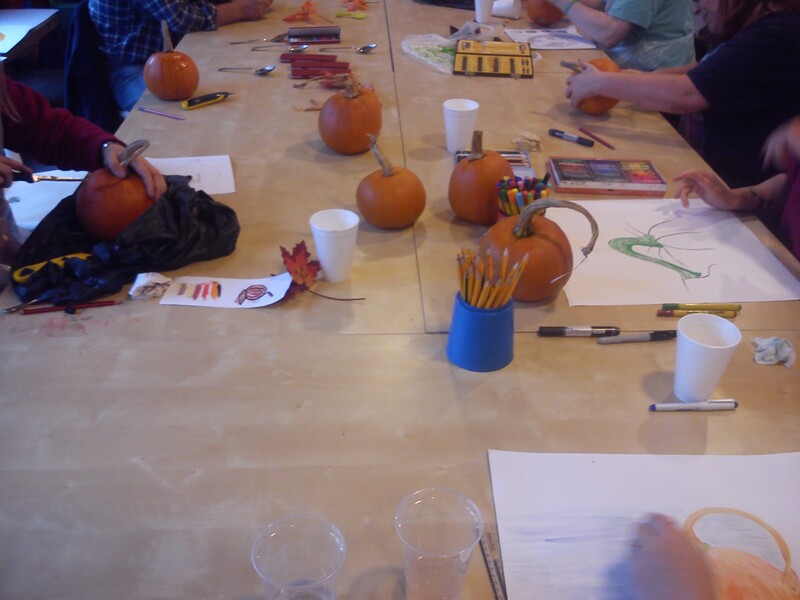 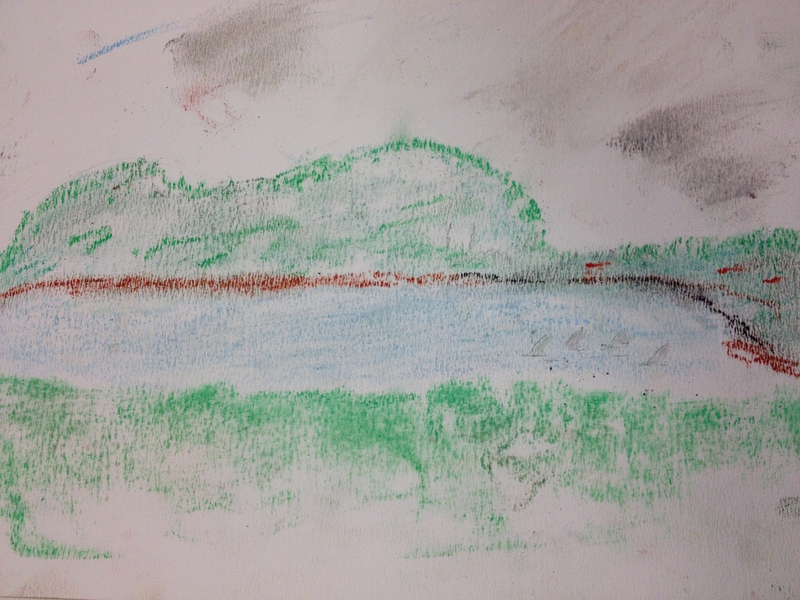 A busy session saw people engaged in both still-life and landscape drawing. 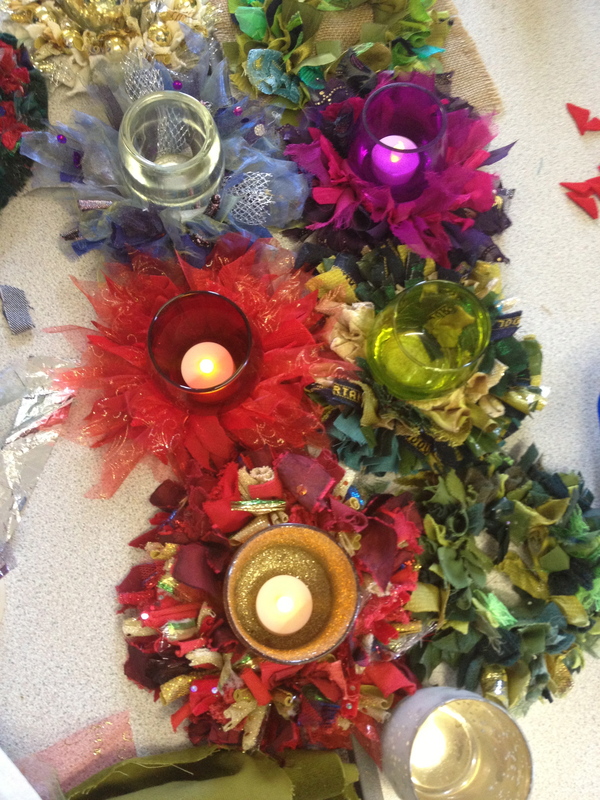 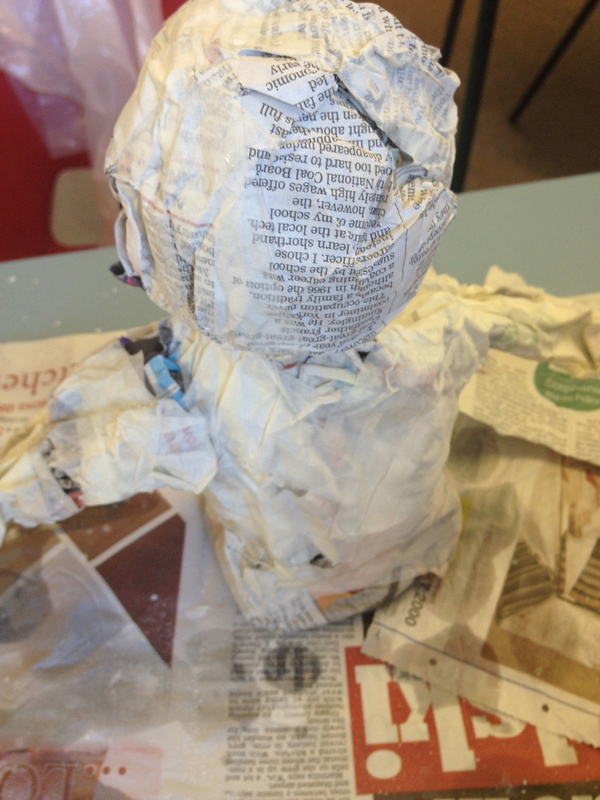 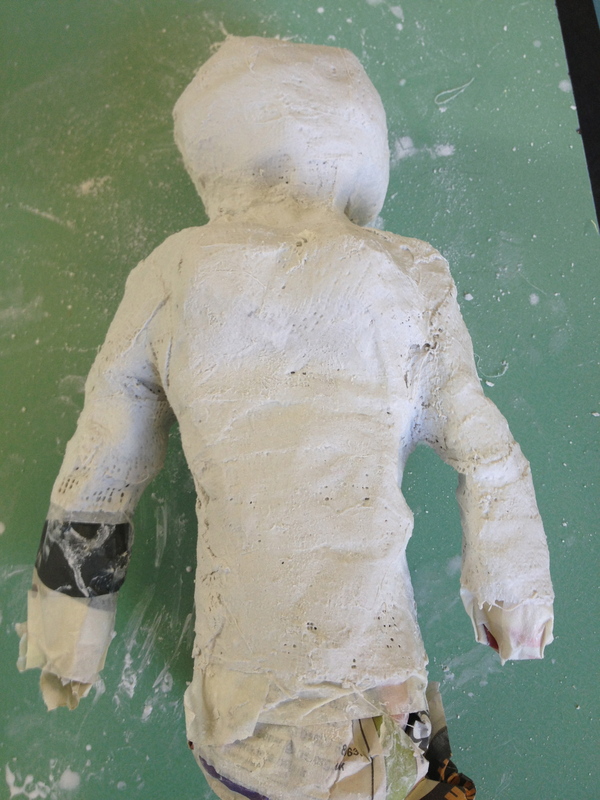 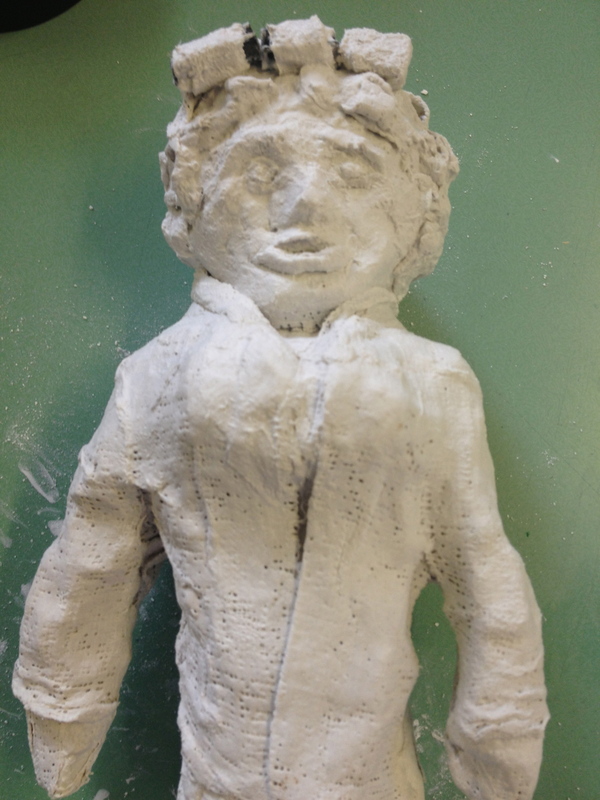 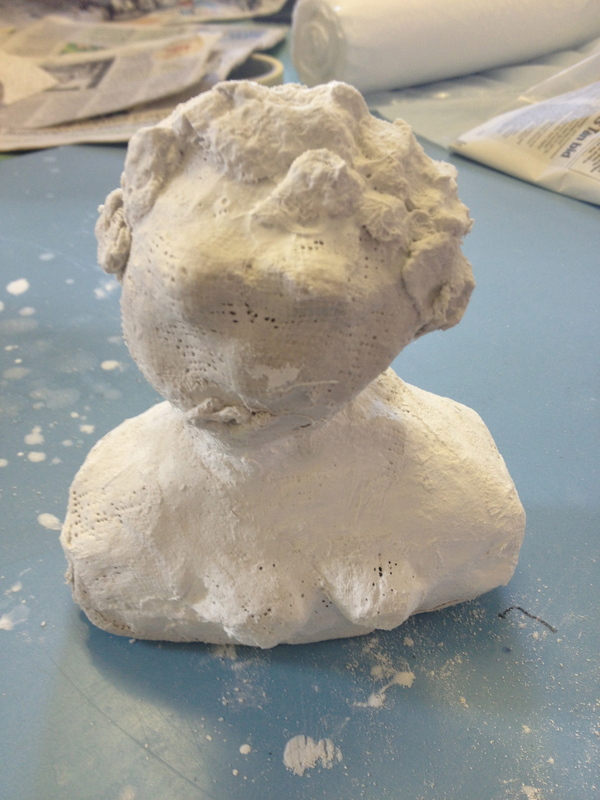 Some very impressive work resulted! 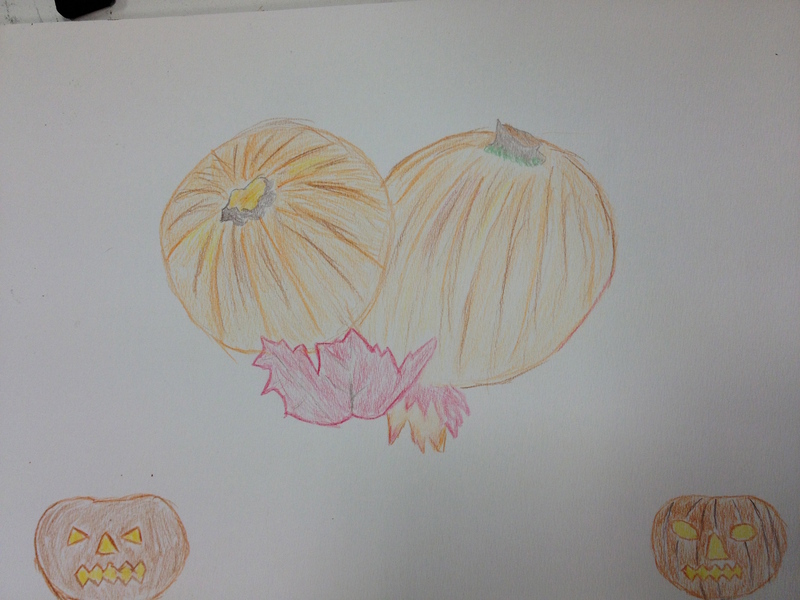 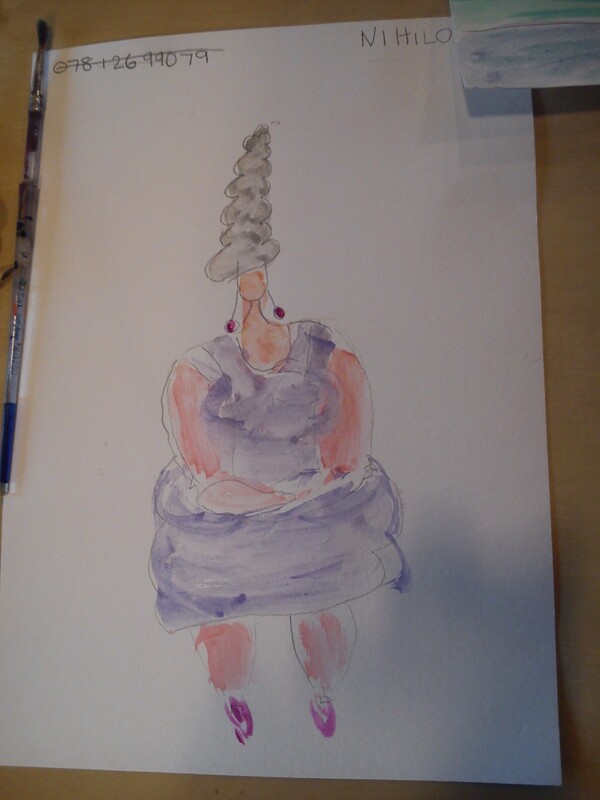 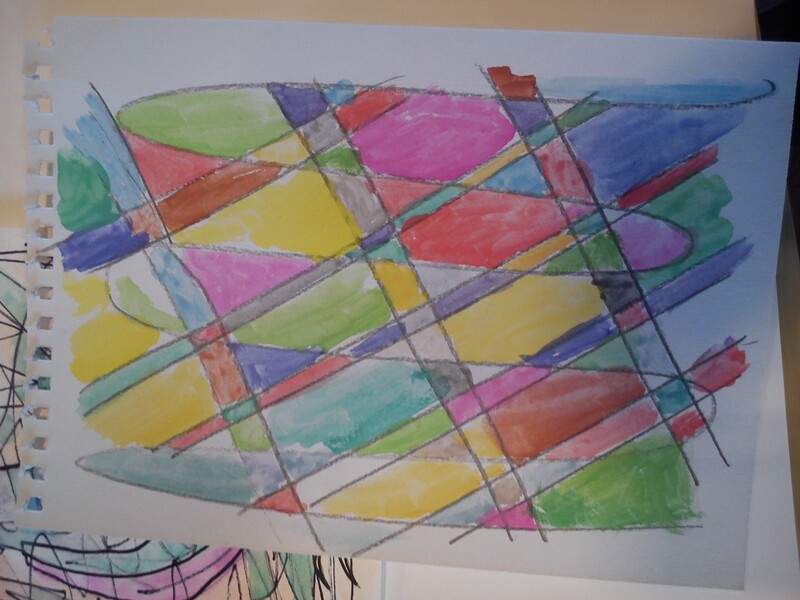 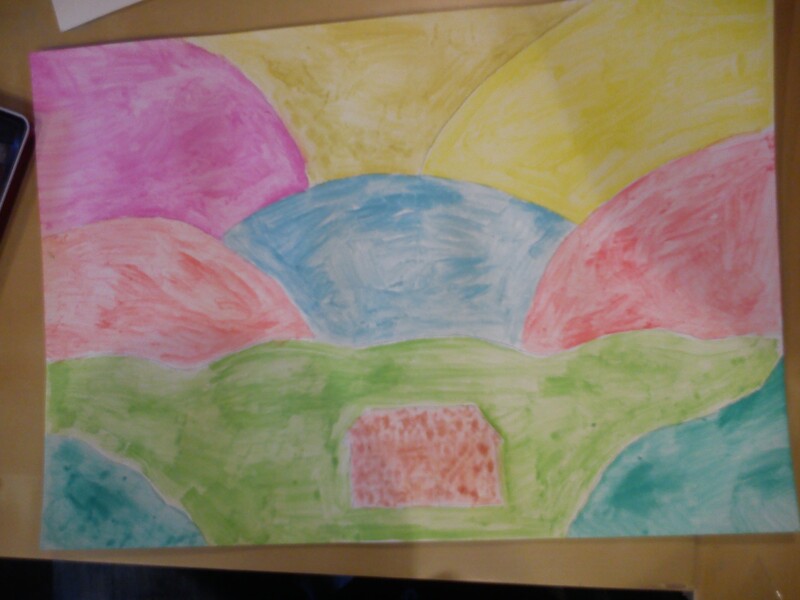 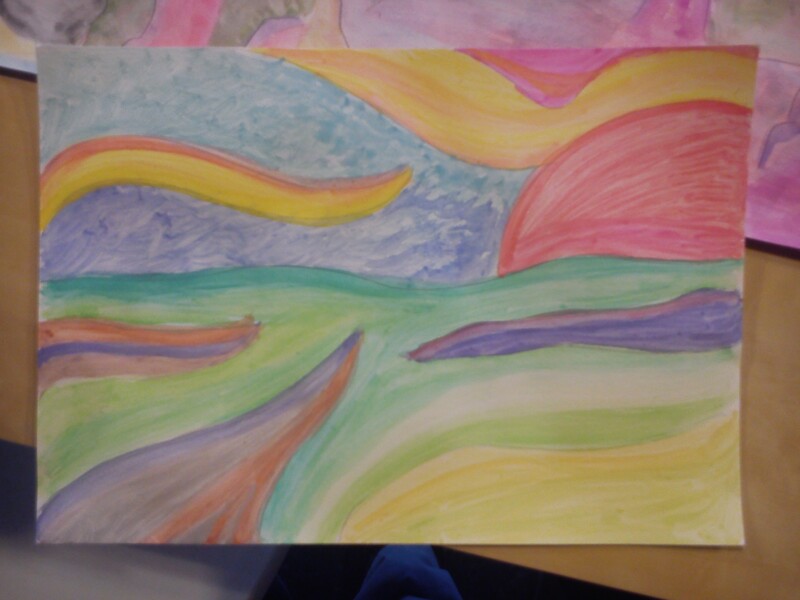 The 2Create group were trying to draw without outlines. 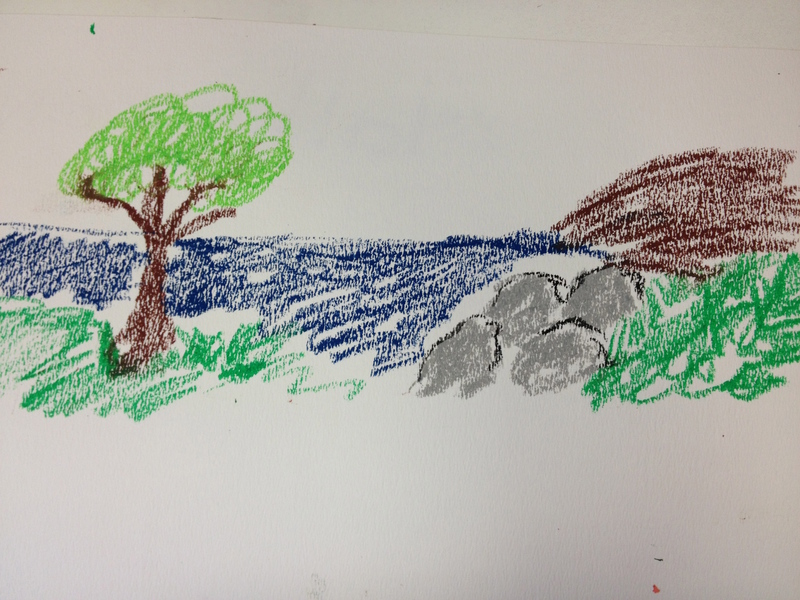 We explored a number of ways of making lines to represent features such as rocks, wood and water. 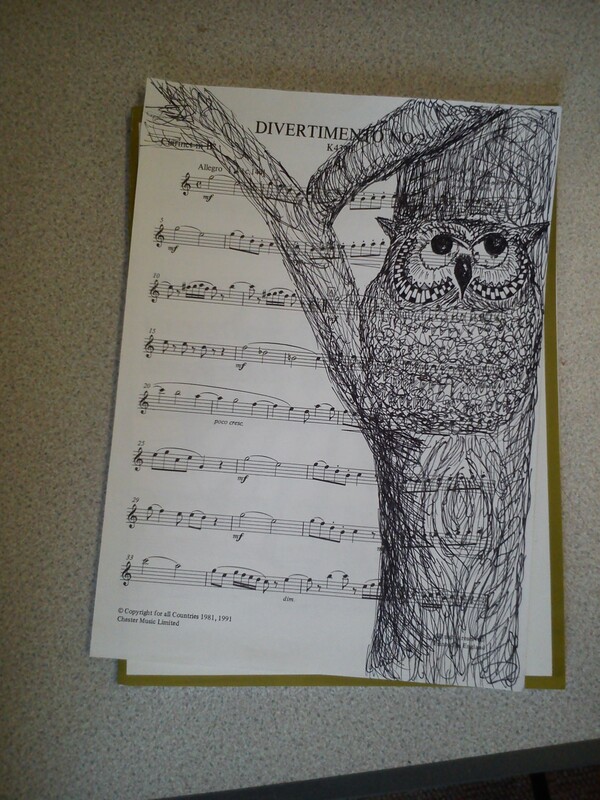 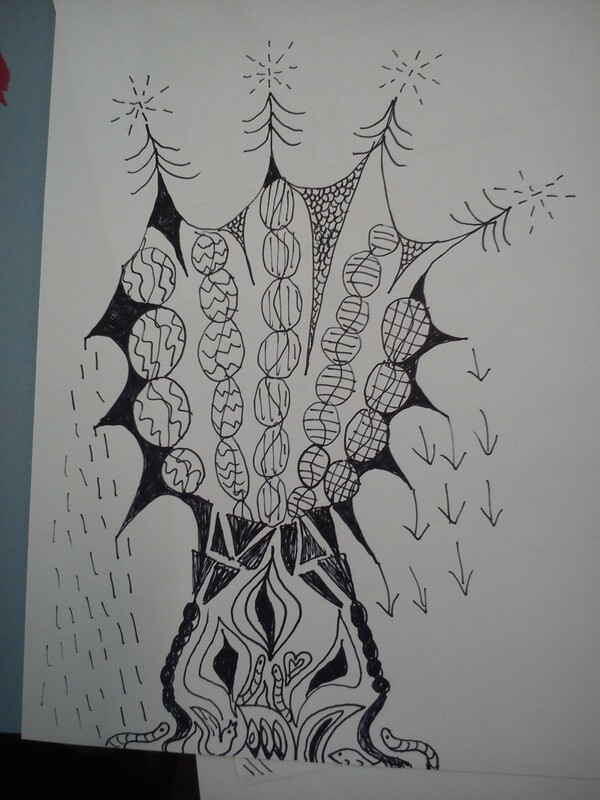 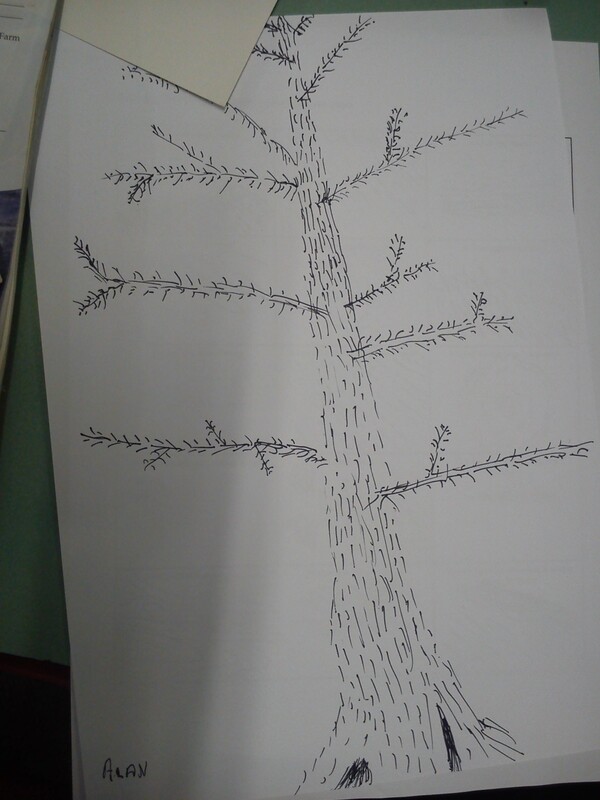 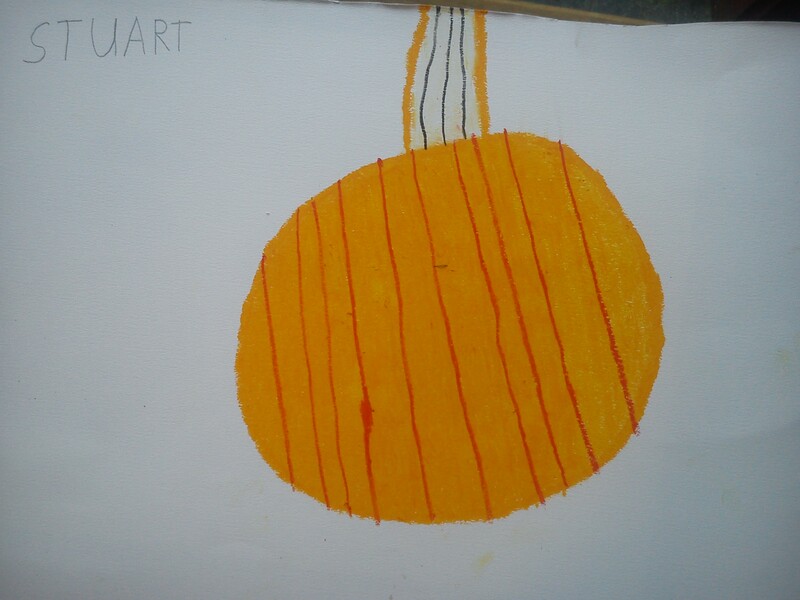 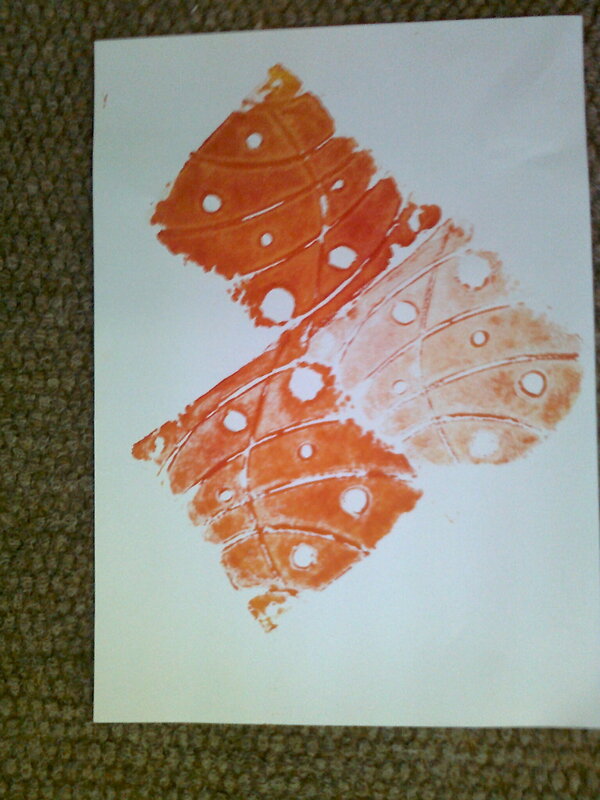 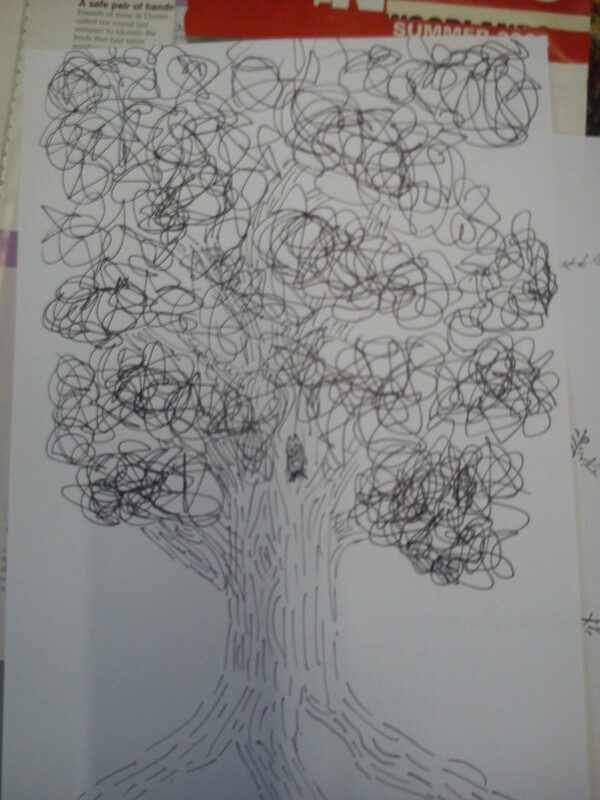 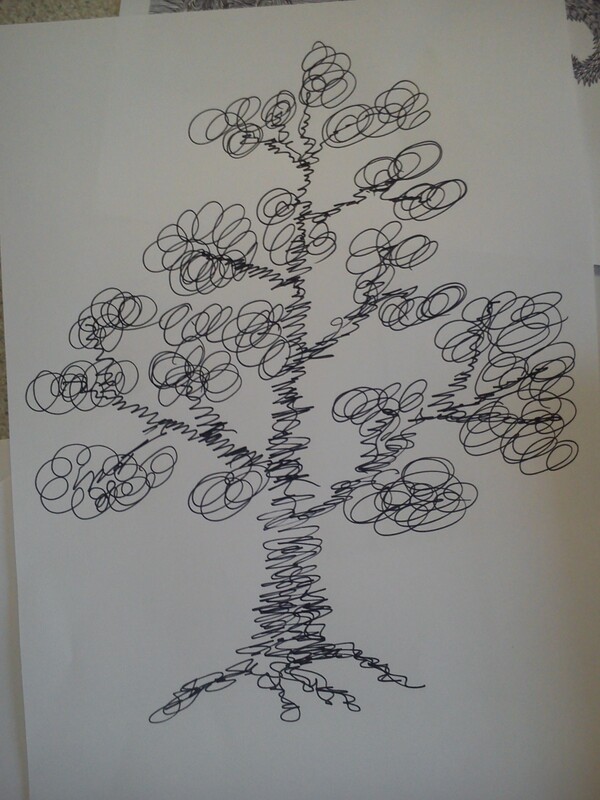 We then drew pictures of trees with no outlines and finally drew our own pictures in this style. 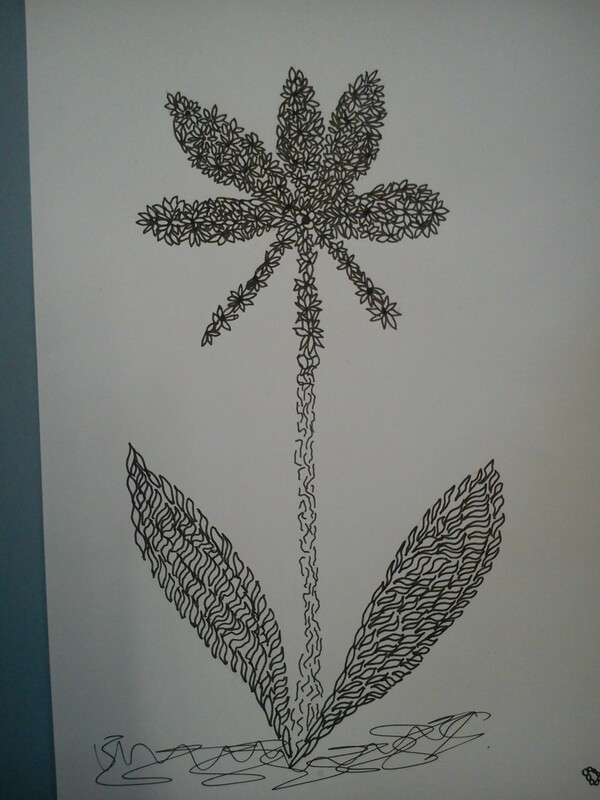 We used fine liners. 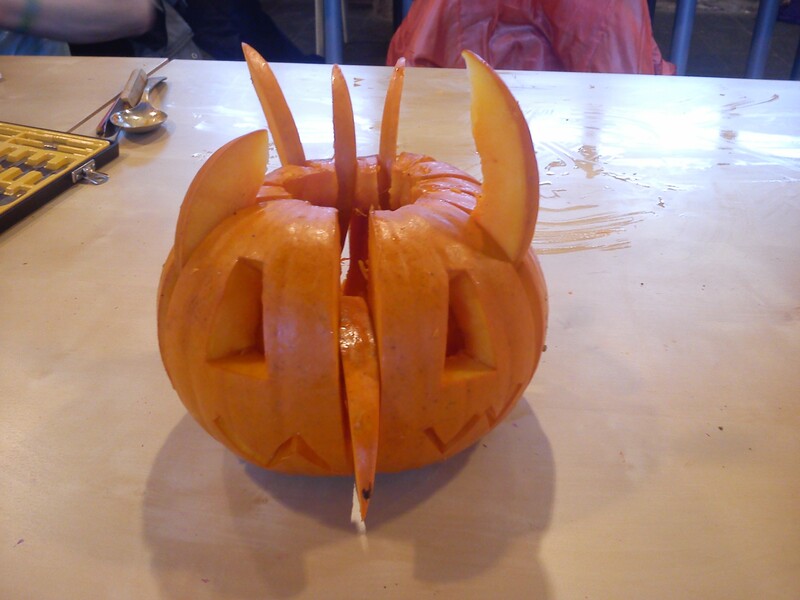 The results were pretty good! 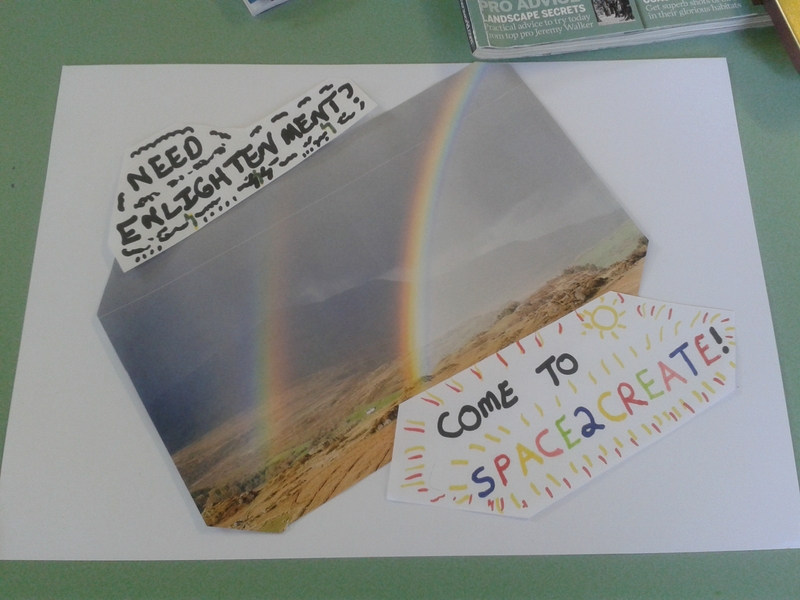 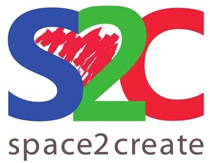 The Space2Create team had a great day on Saturday at the Comic Arts Festival. 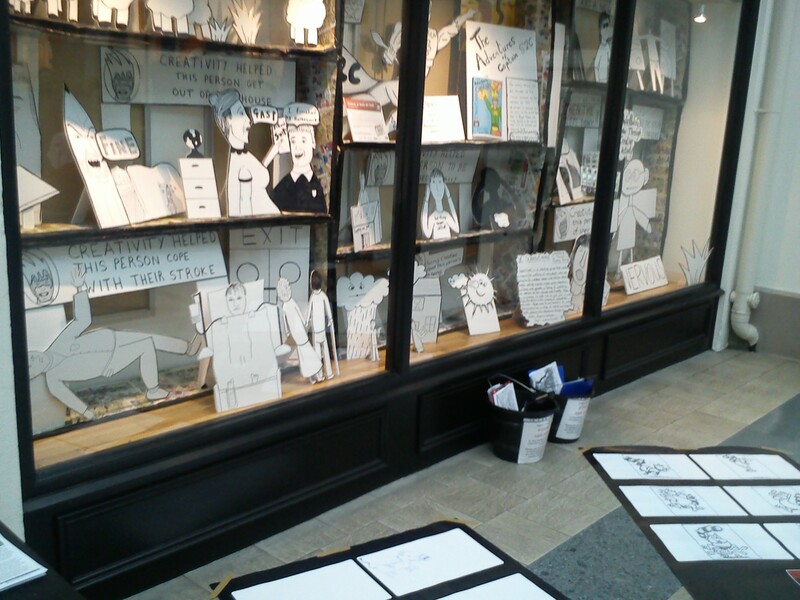 We were in front of our Comic Art Trail Window at Kendal Waterstones selling the comics and chatting about our work. 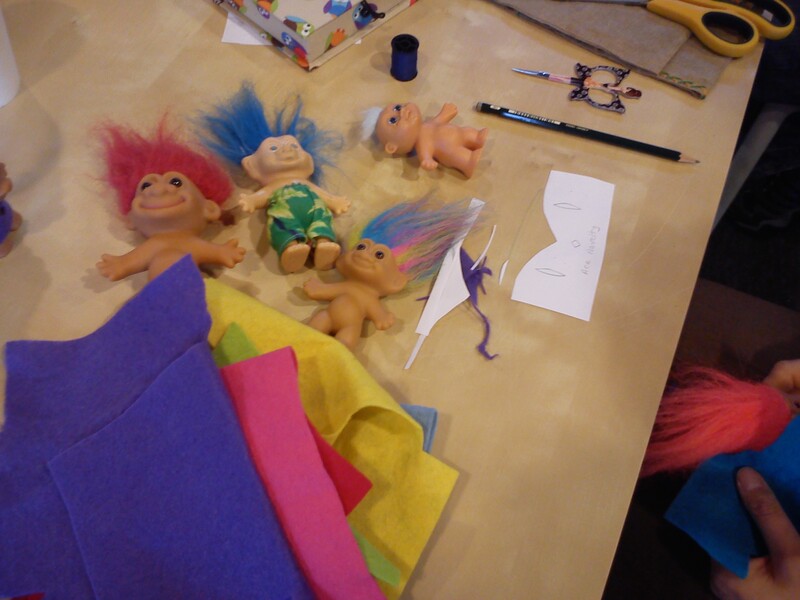 Made lots of connections and contacts as well… as finding new members. 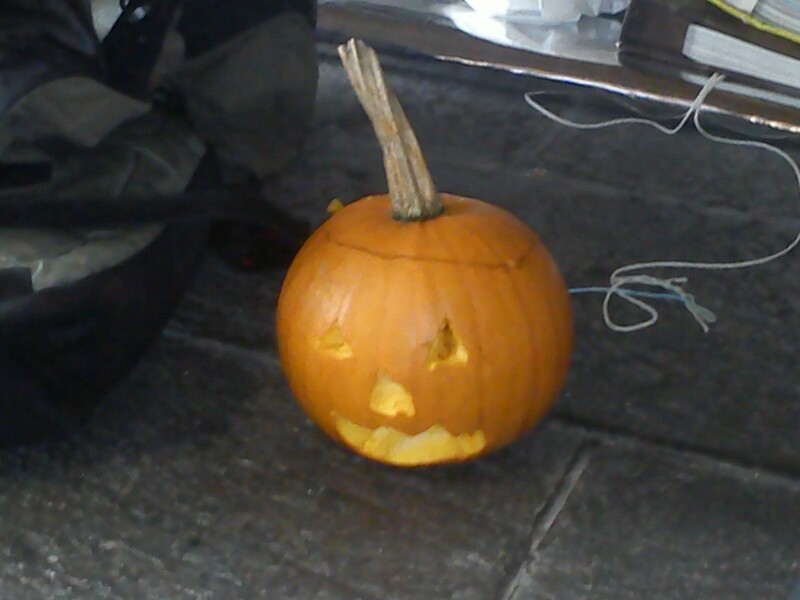 The night before some of the group were at the film V for Vendetta with a talk by it’s creator. 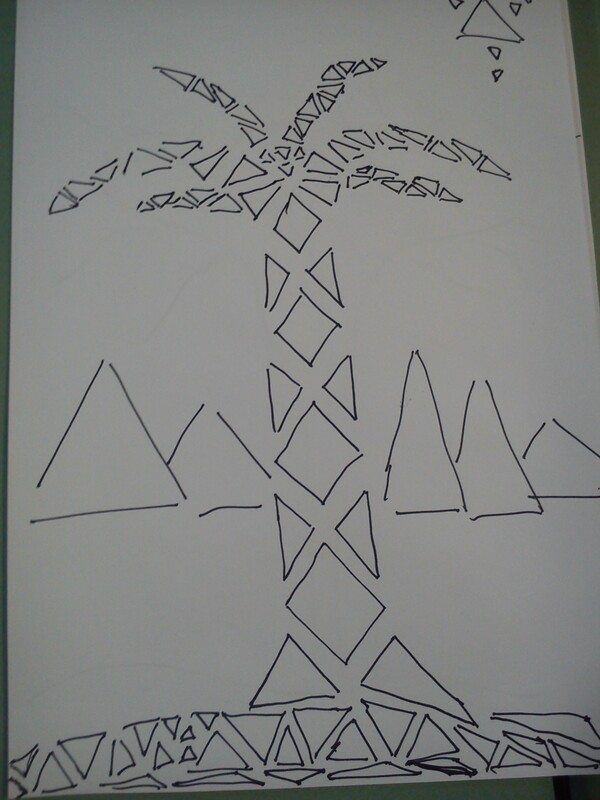 The film was great and it is always interesting to hear how these stories come about. 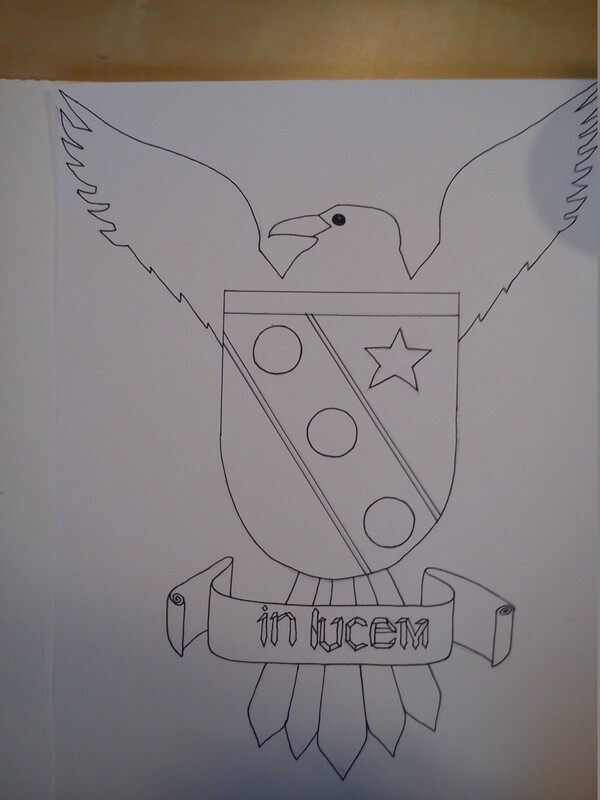 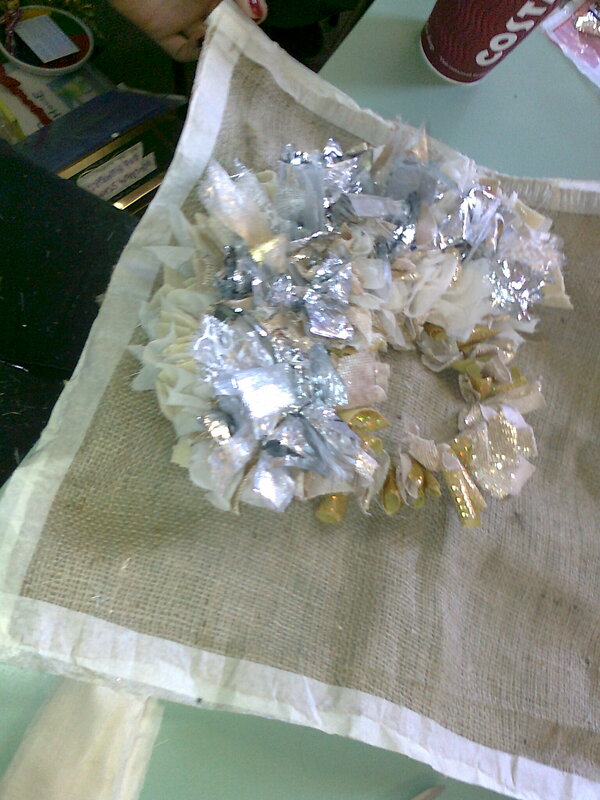 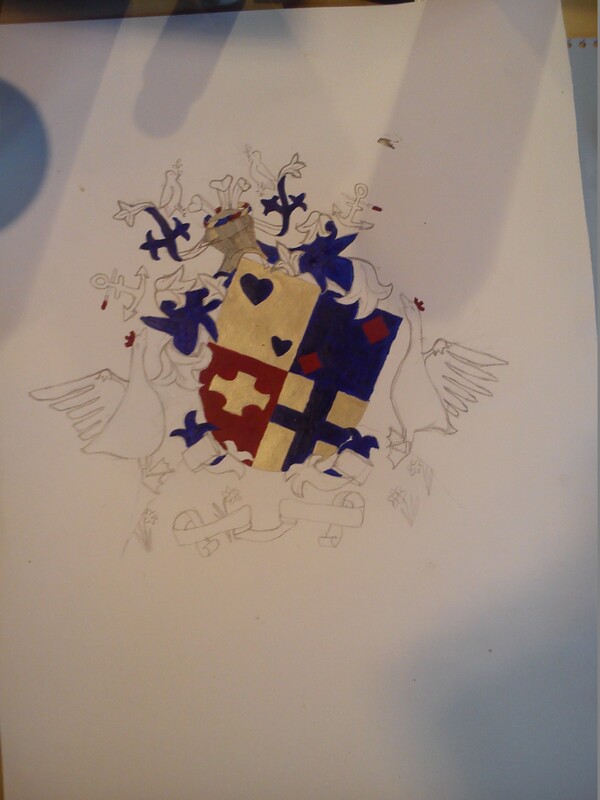 A mixed bag today with some people finishing their heraldry after Mikes great session last week. 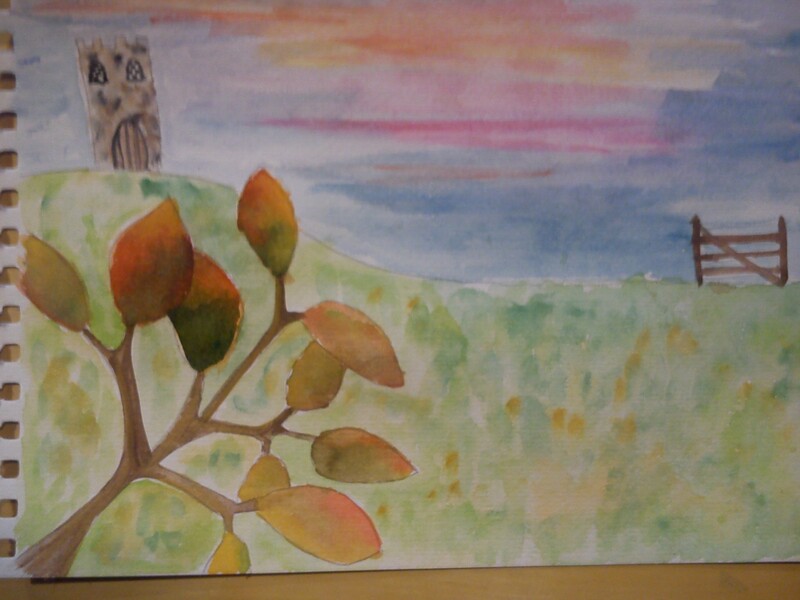 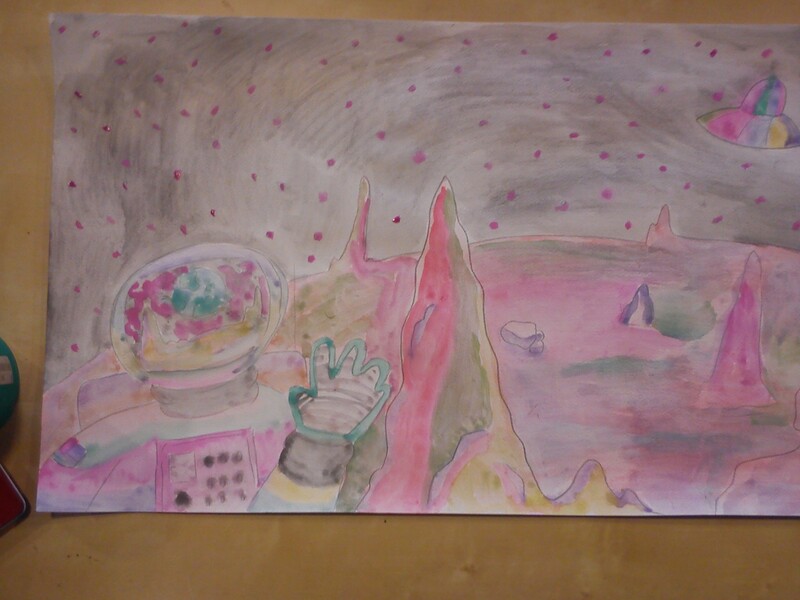 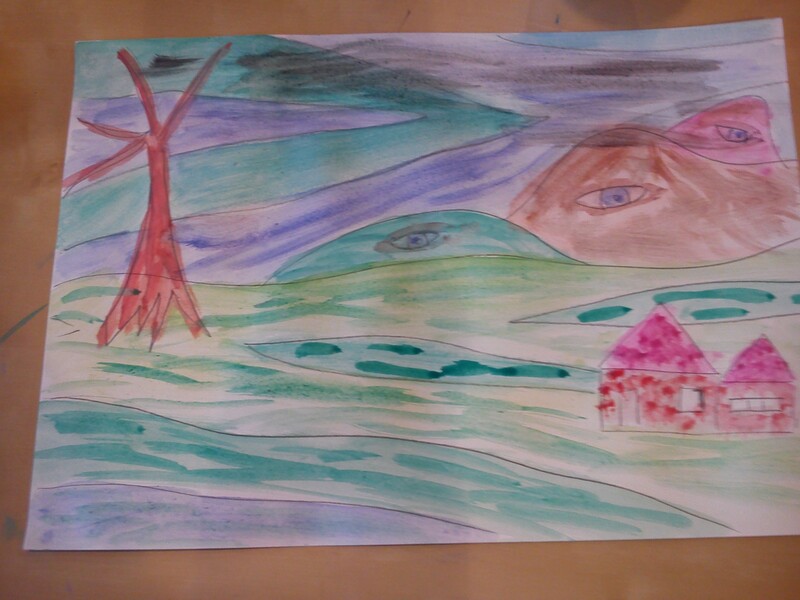 The rest were using watercolours to play around with scenes involving bands of alternative colours to create surreal landscapes or images. 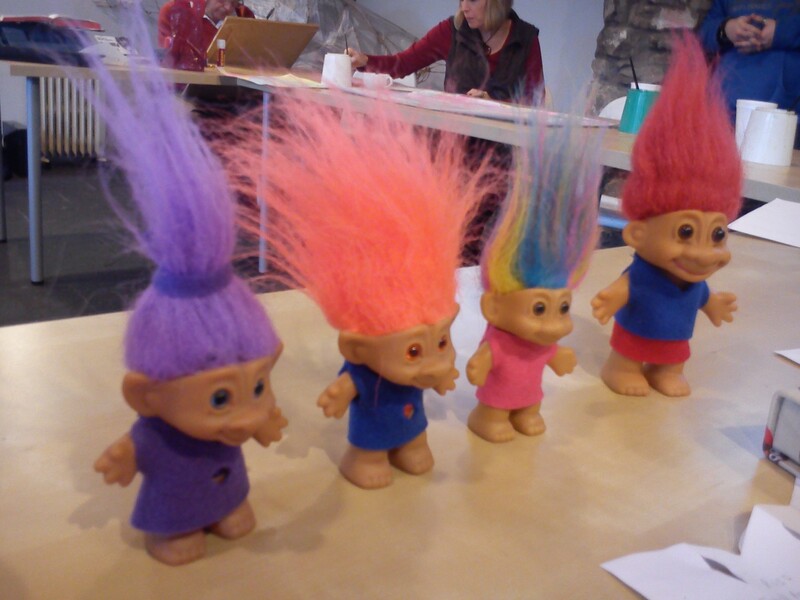 Oh and there was some troll dressing too! 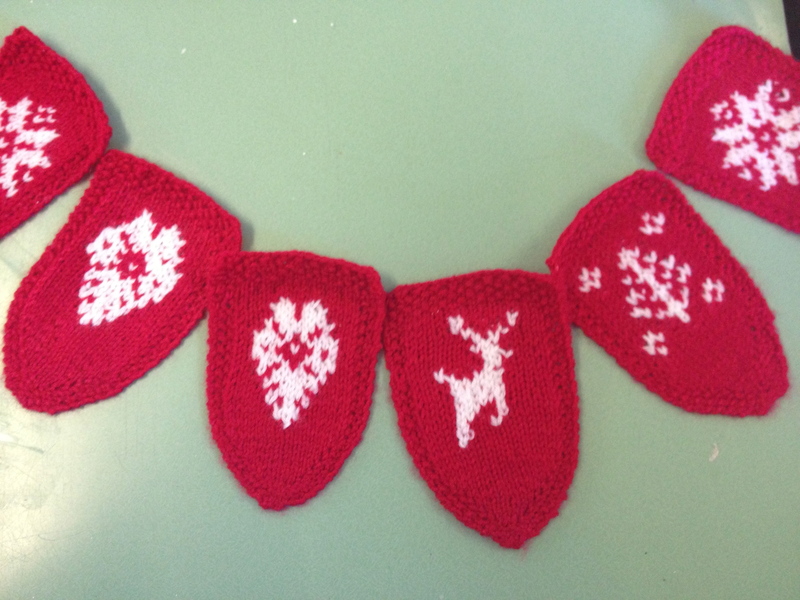 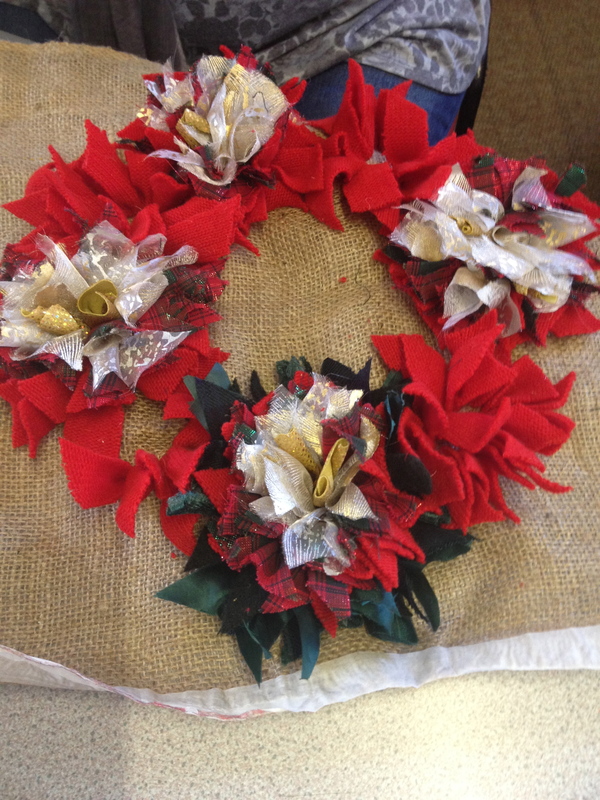 From modroc Christmas Trees and figurines to Scandinavian-style bunting, crochet and a great selection of Christmas wreaths; there was something for everyone at this week’s busy session. 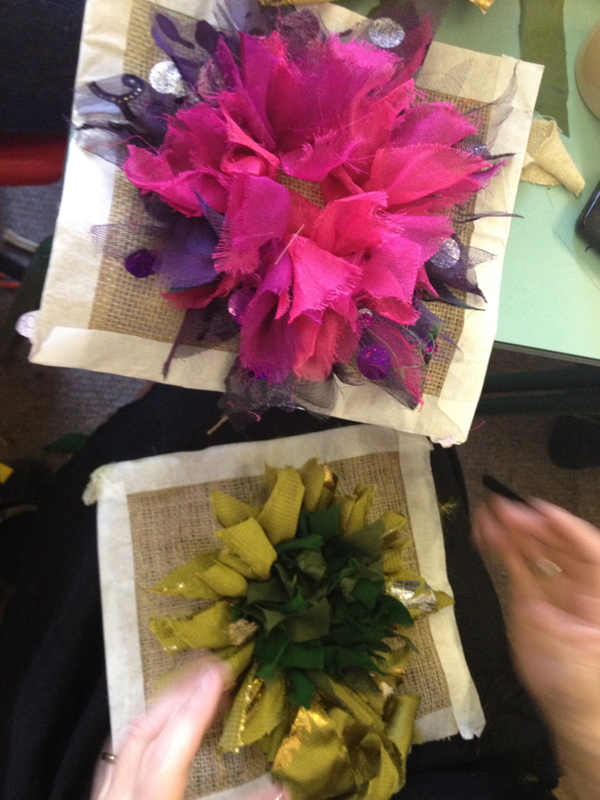 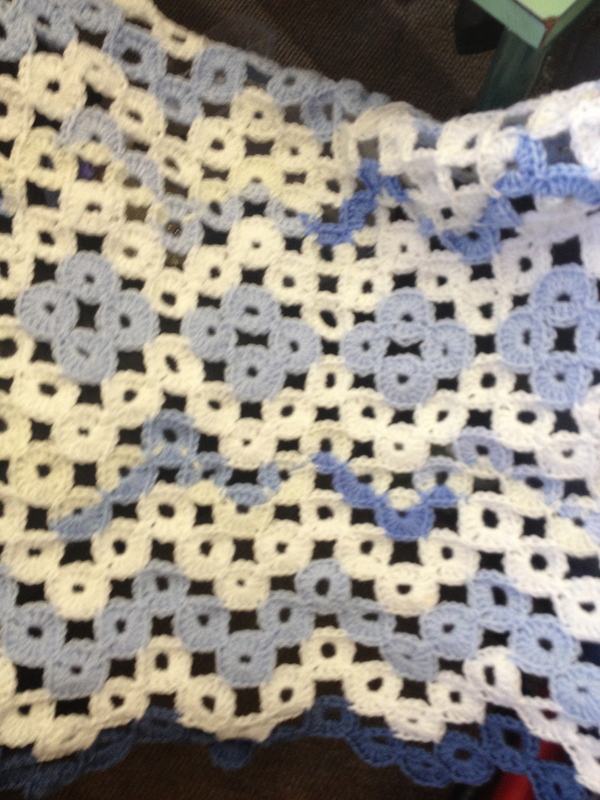 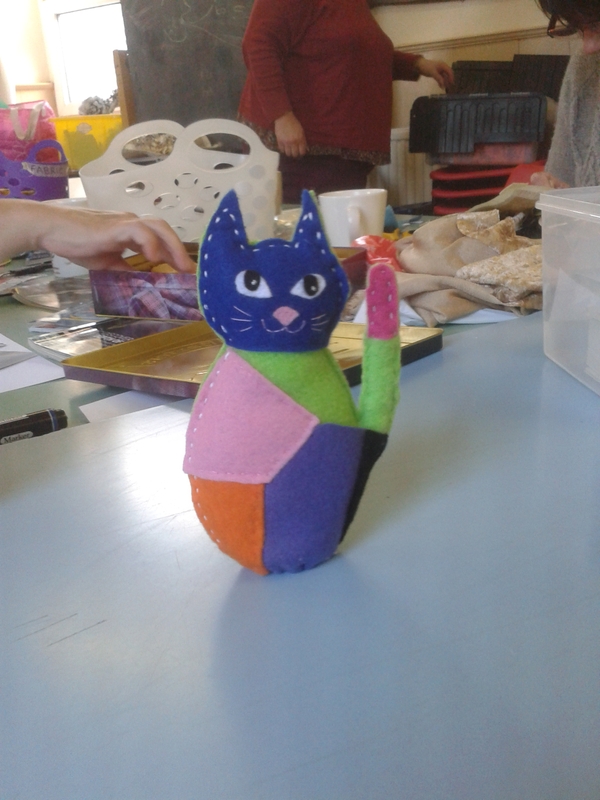 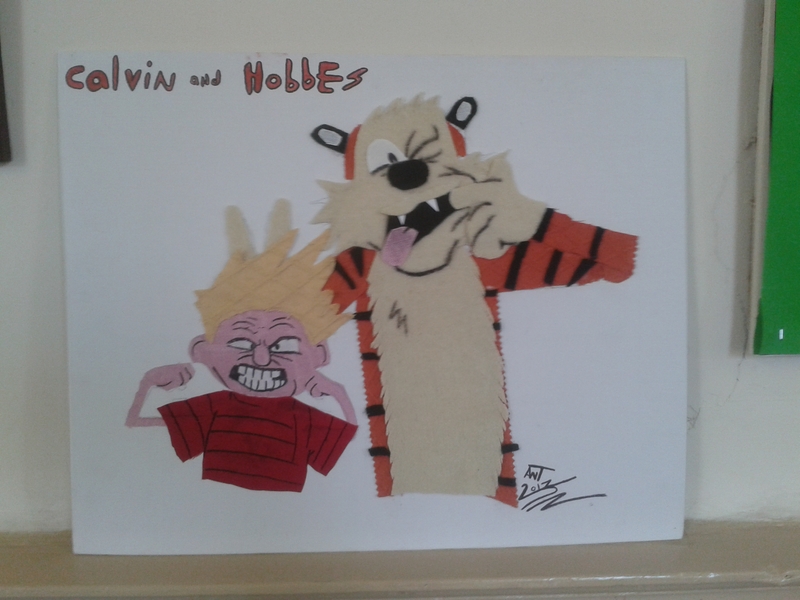 The 2Create Group were busy with various Comicfest-related projects, as well as producing some fabulous objects in fabric. 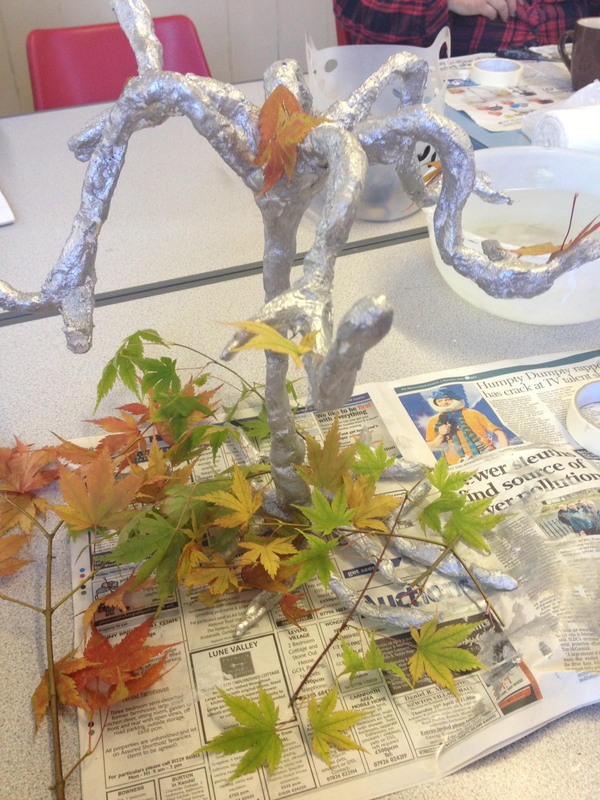 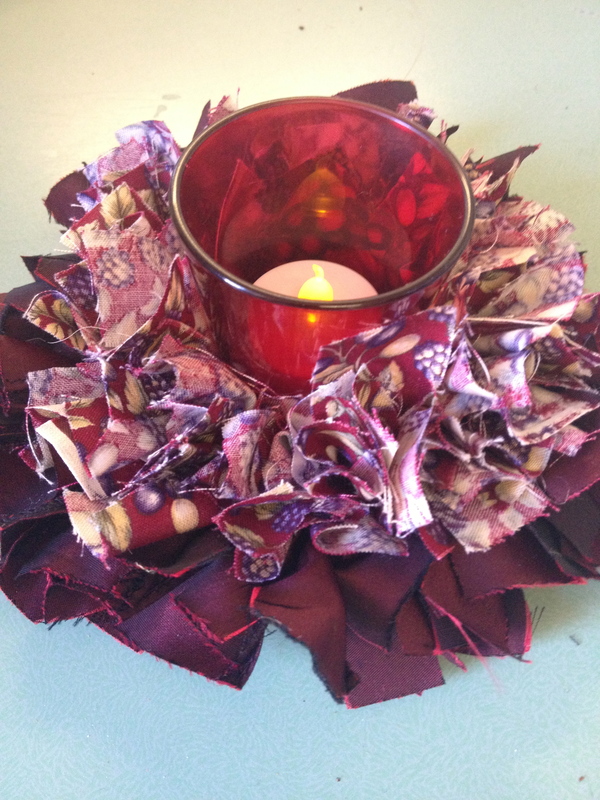 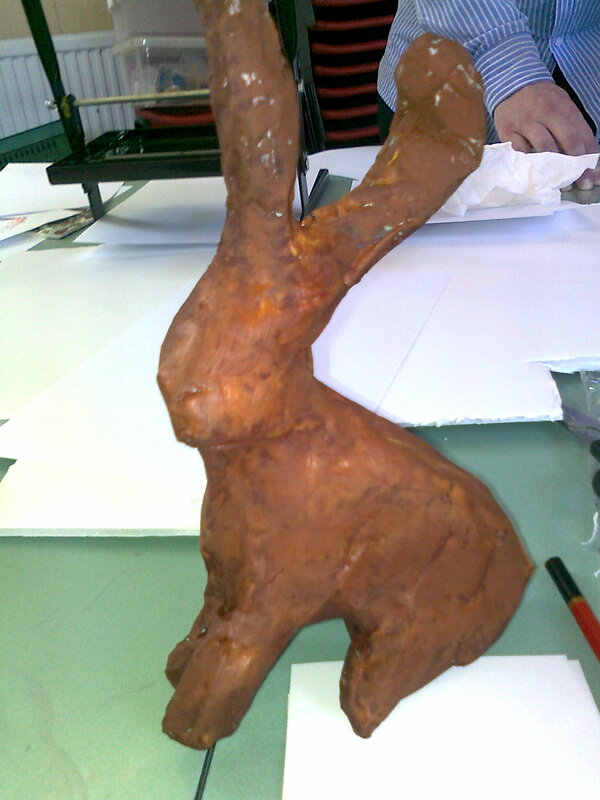 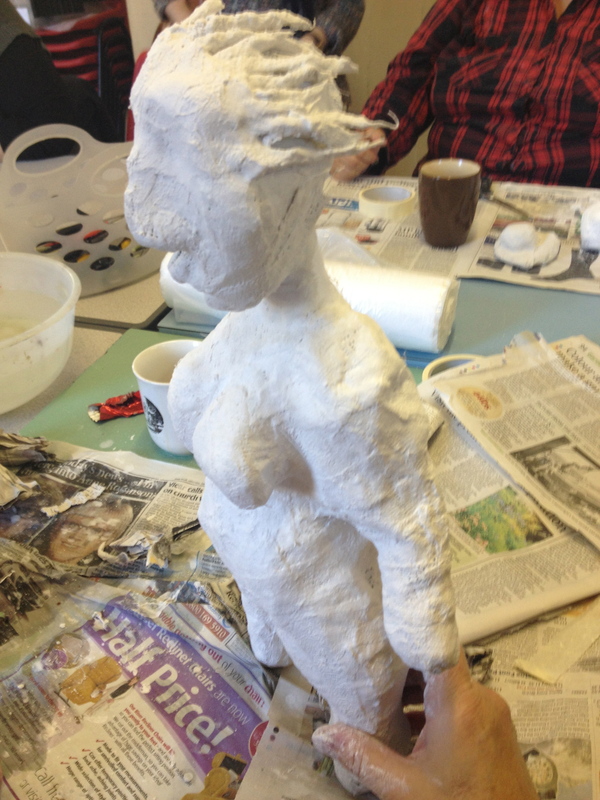 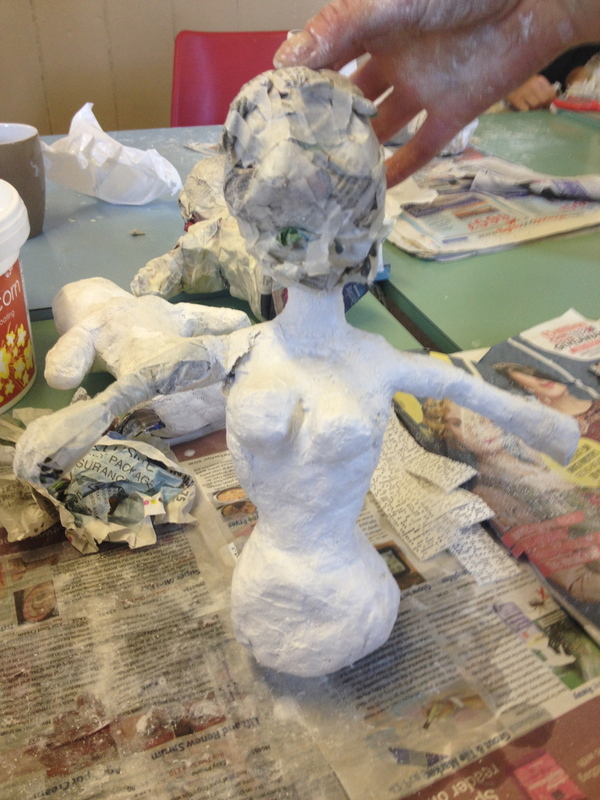 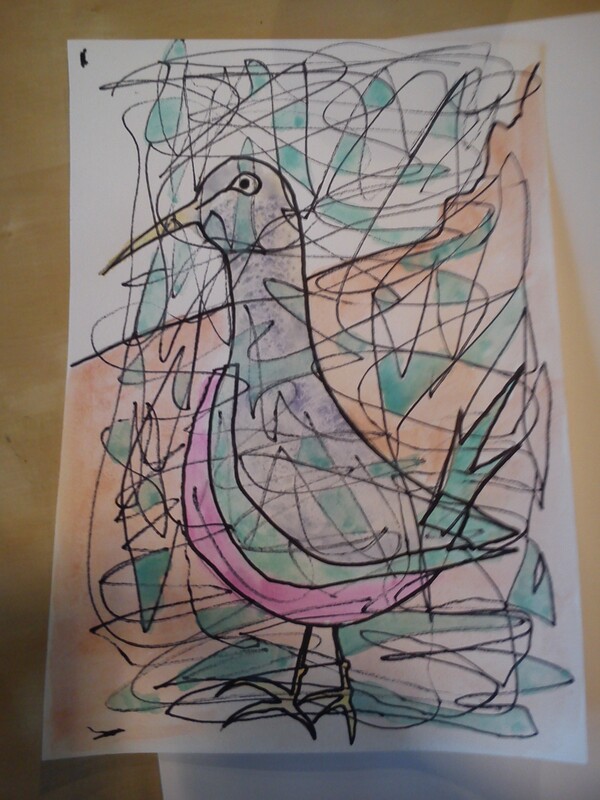 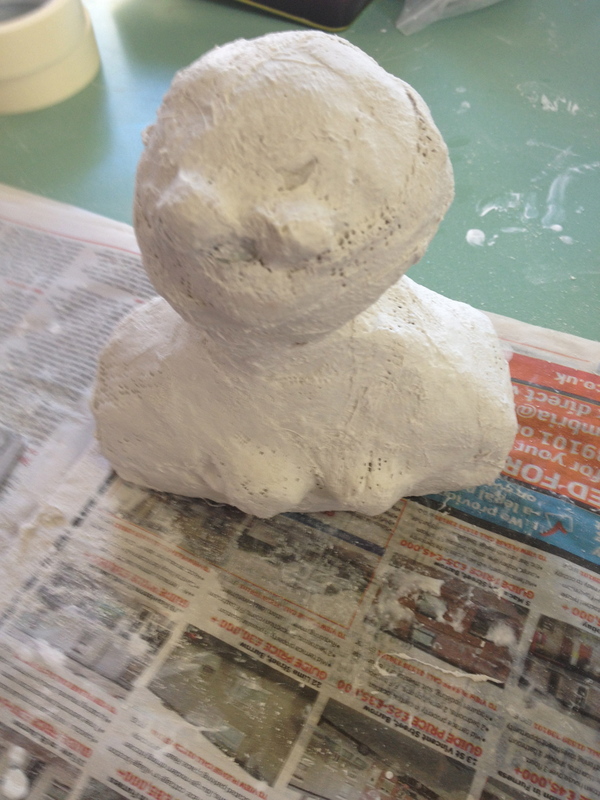 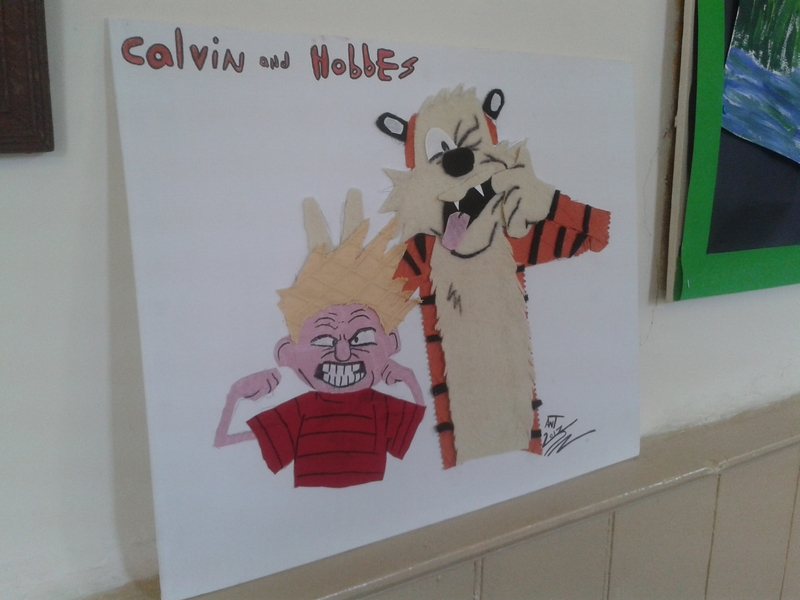 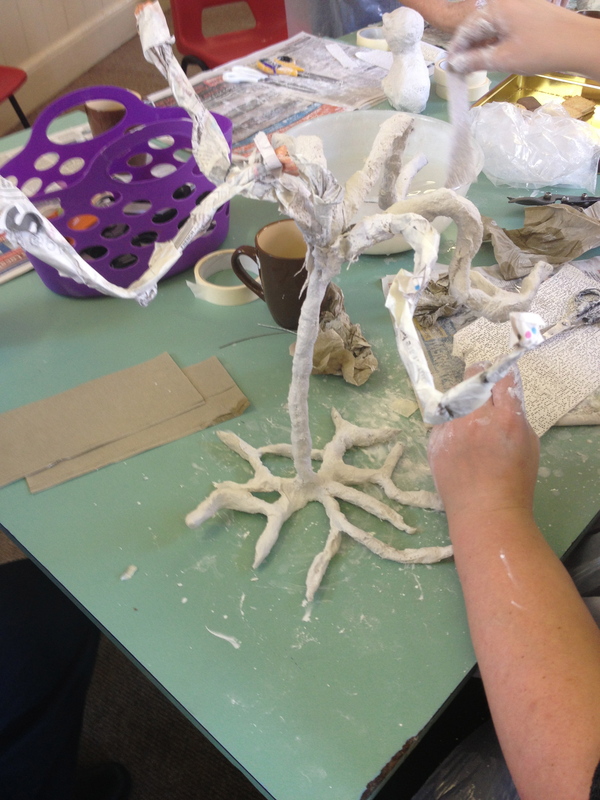 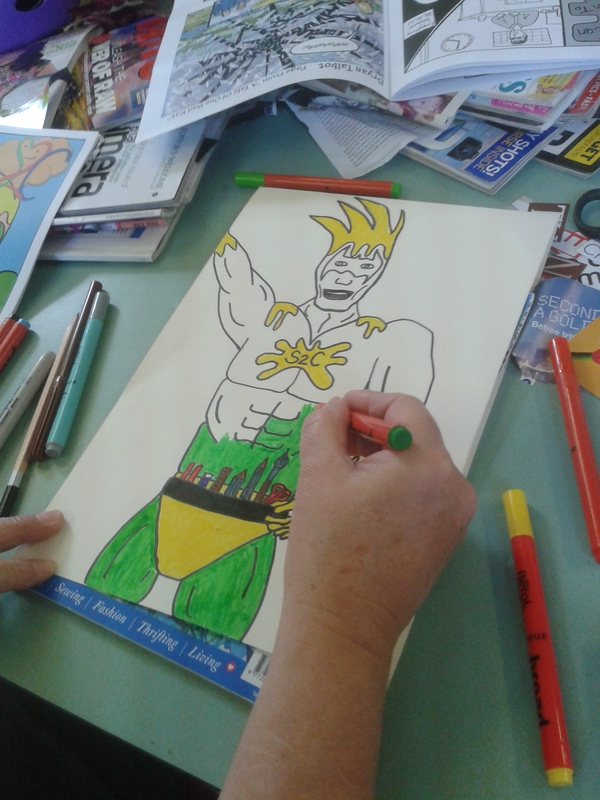 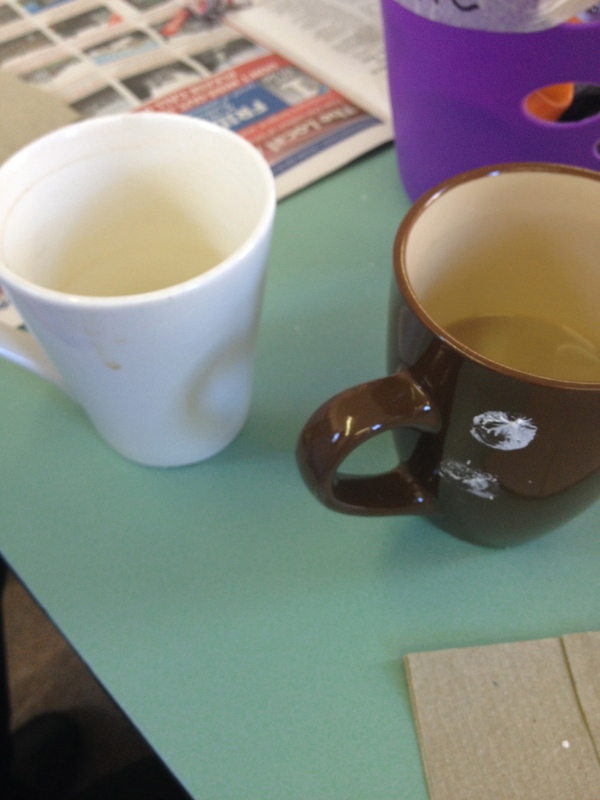 WellArt was run by one of our members this week. 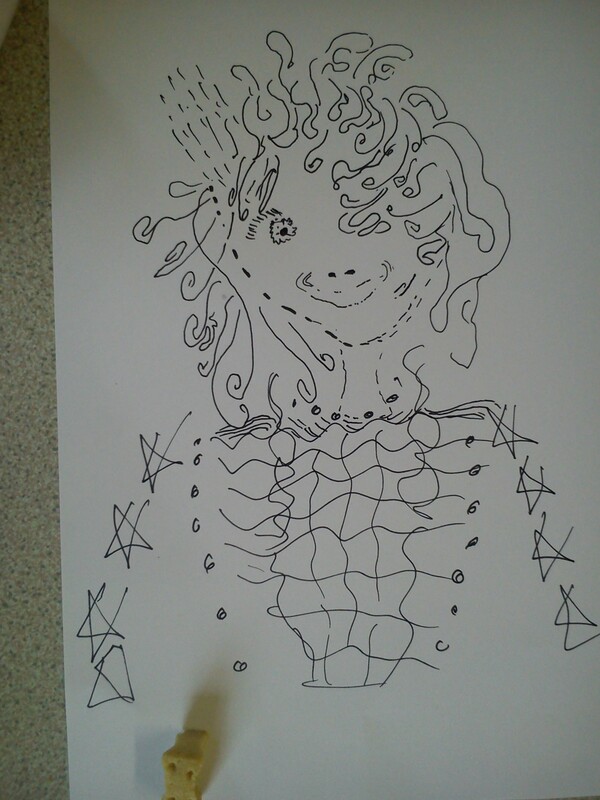 Mike bravely took the session based on his interest in Hereldry. 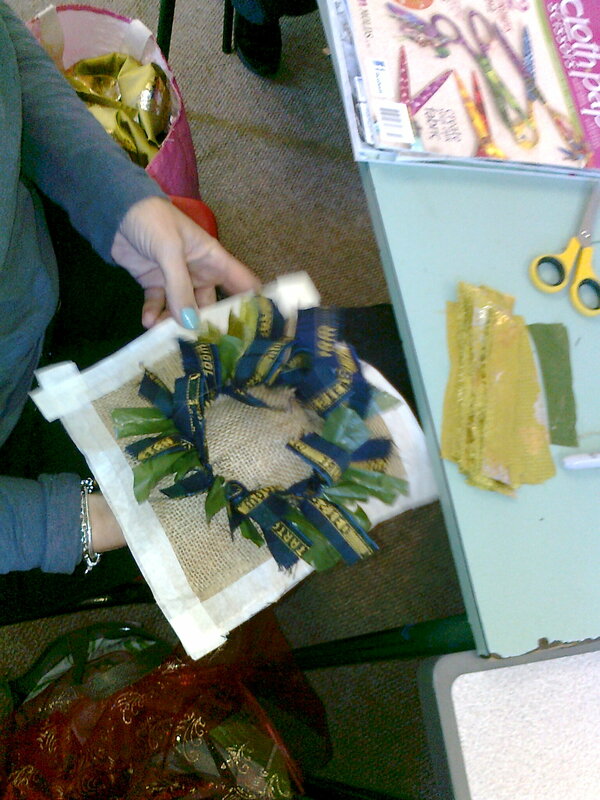 He showed us the history, how to read the coats of arms and helped he group to start building up their own made up arms. 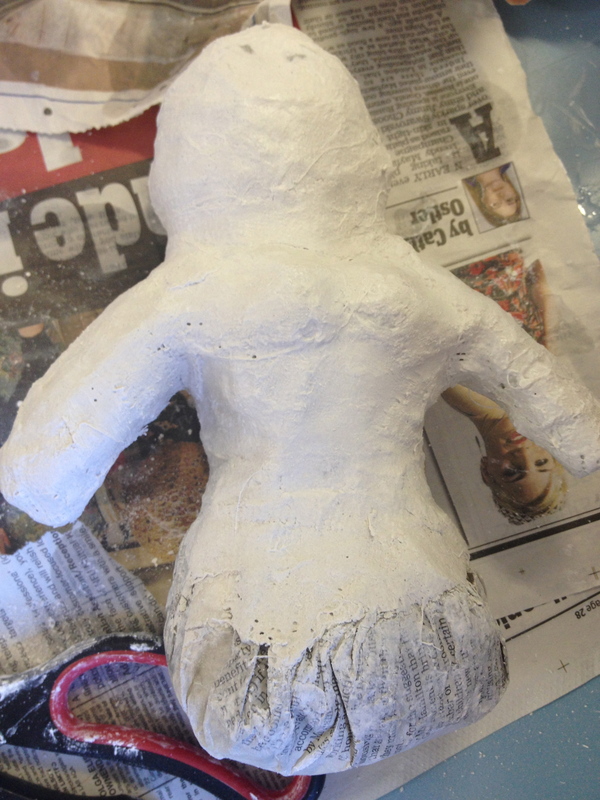 No images, not far enough on but will be showing results next week when they are done. 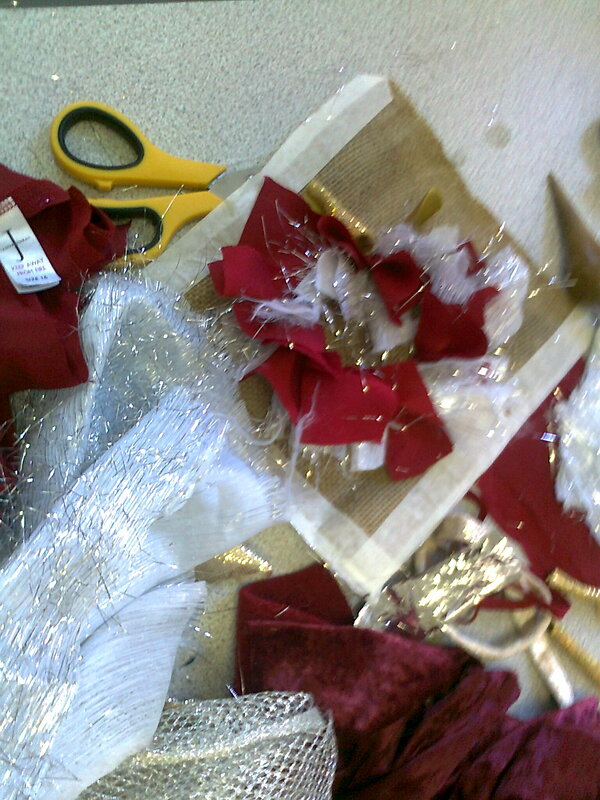 A busy session today with all sorts going on. 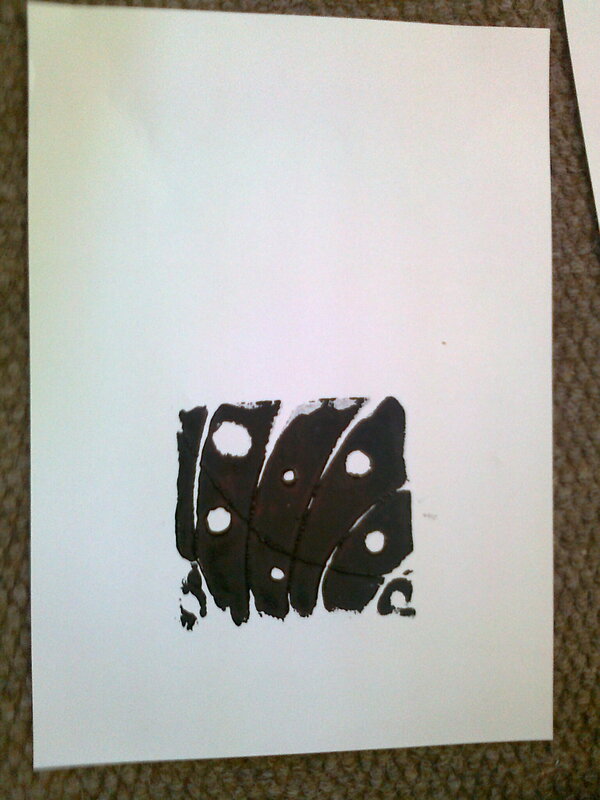 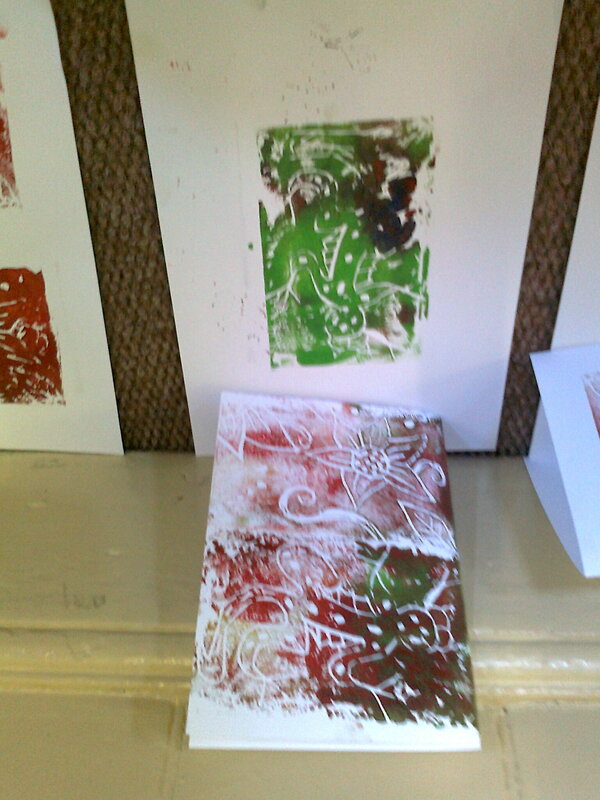 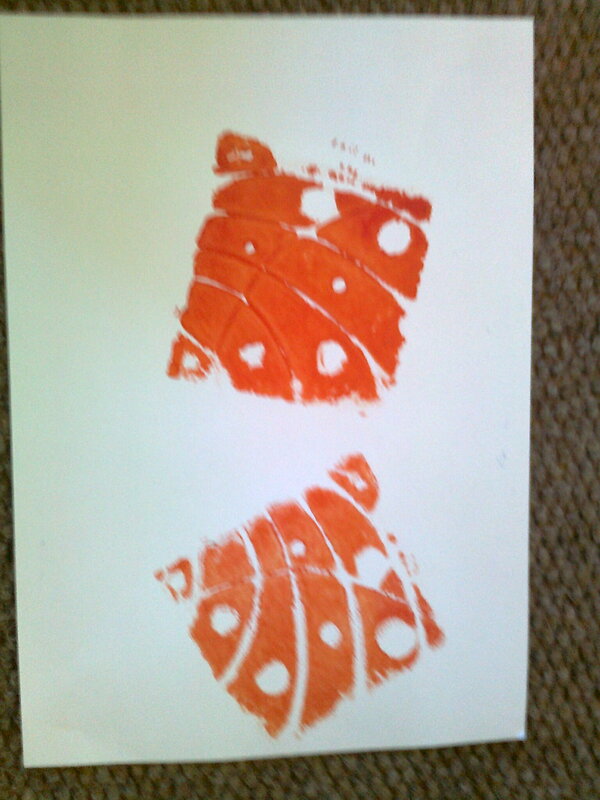 Some people were experimenting using a new hand press with lino cuts and foam board blocks they cut. 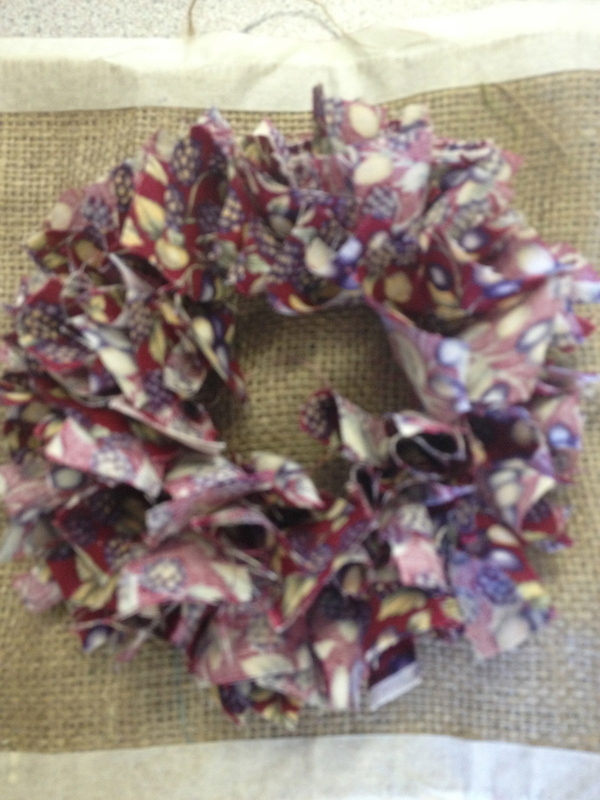 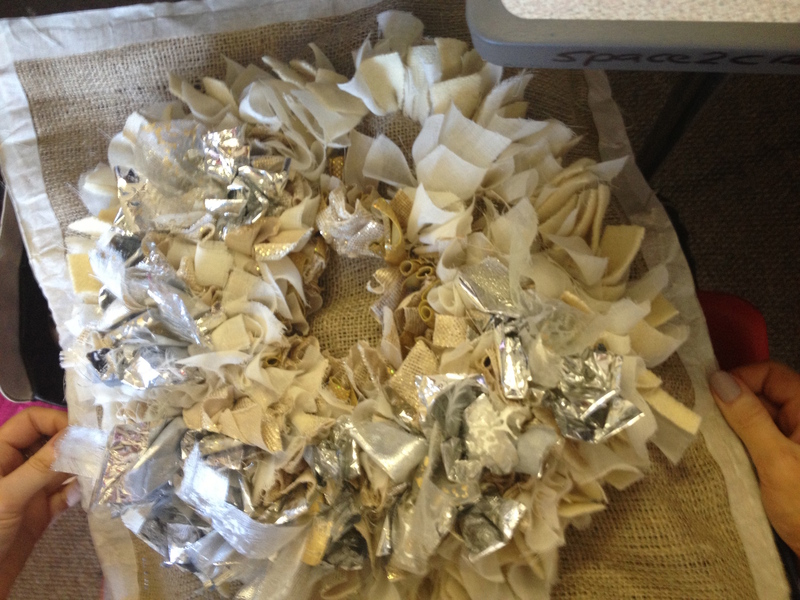 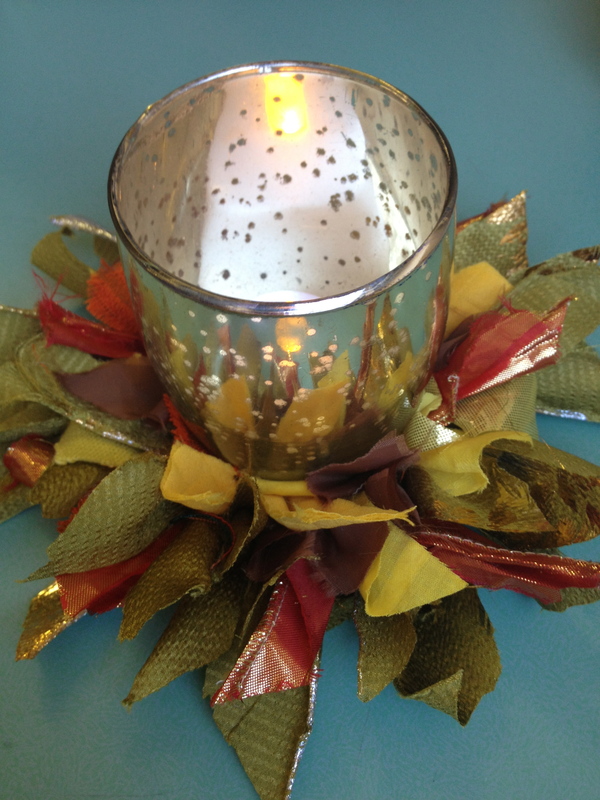 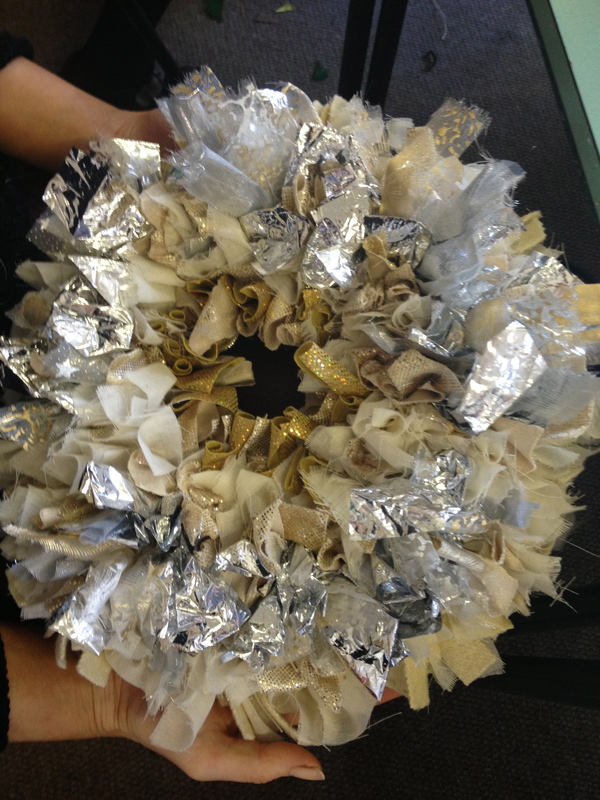 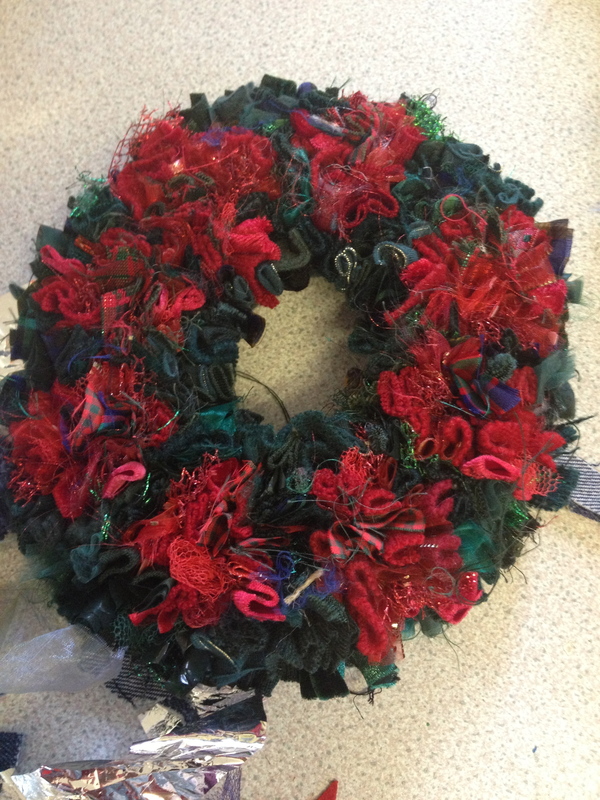 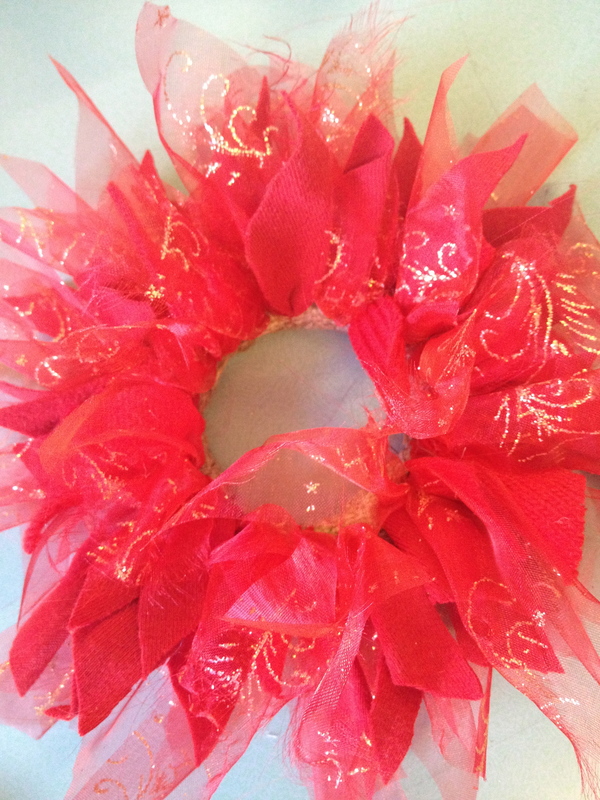 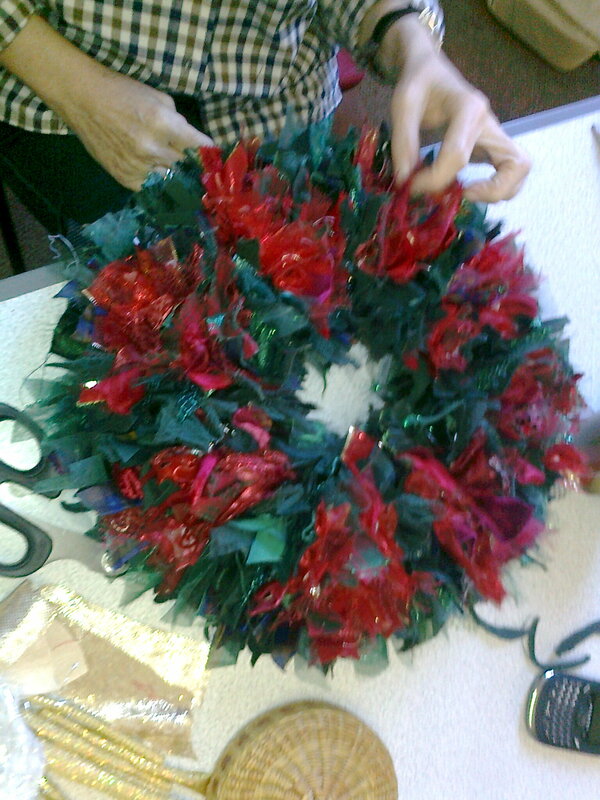 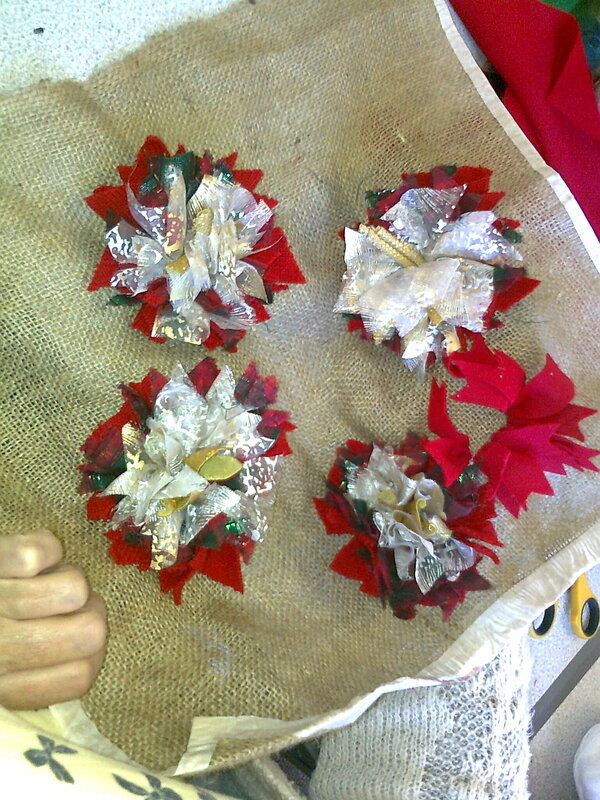 Many were helping make things ready for the Christmas fairs and events we have coming up.